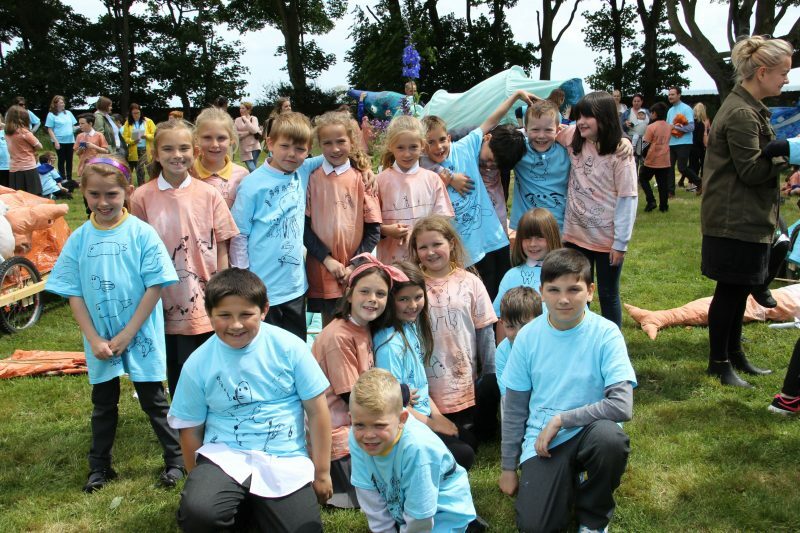 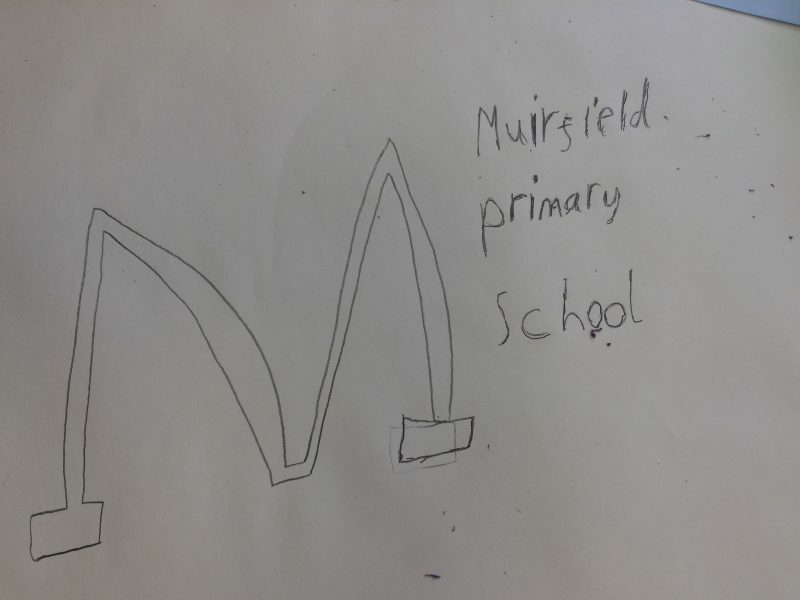 Come along on 18 June to cheer on the pupils of Timmergreens and Muirfield. 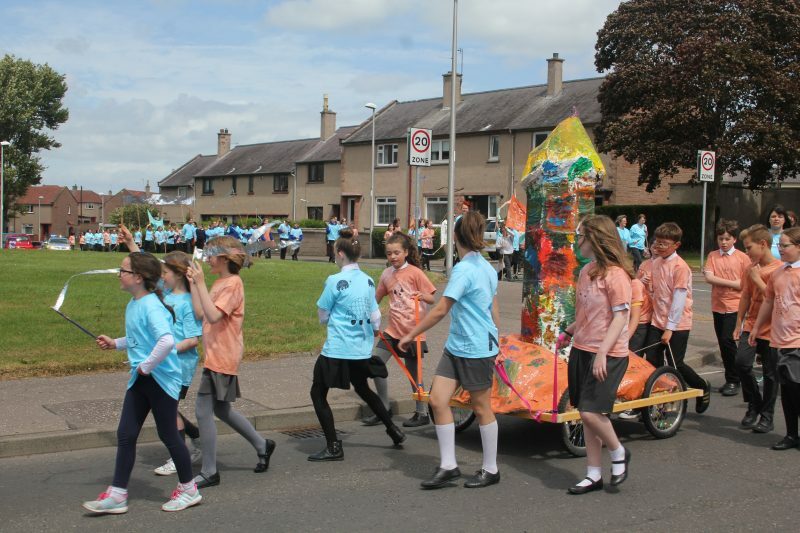 Procession leaves Timmergreens Primary School at 1pm. 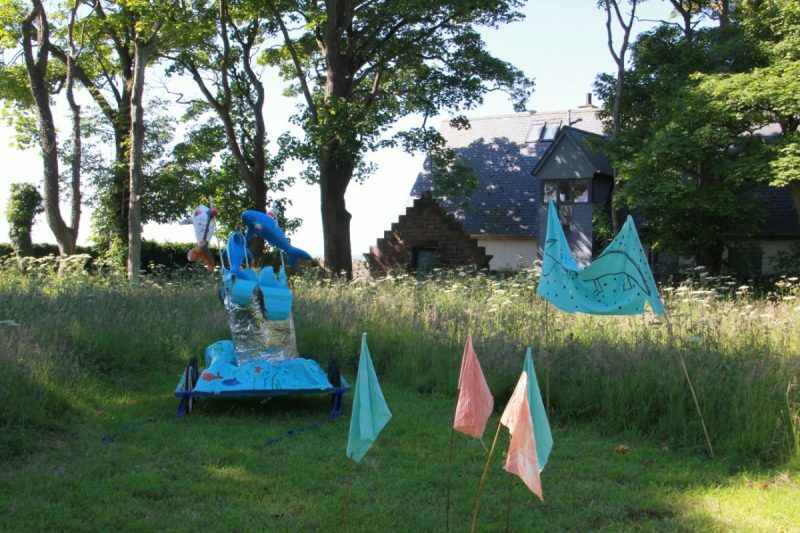 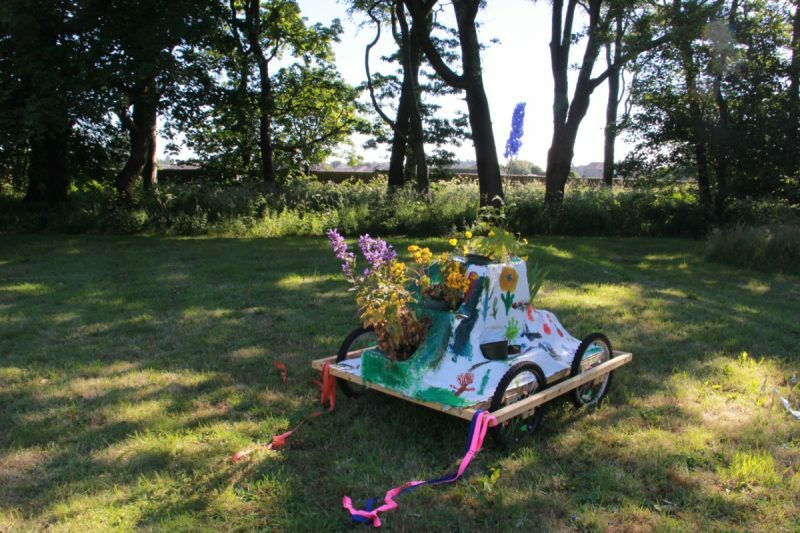 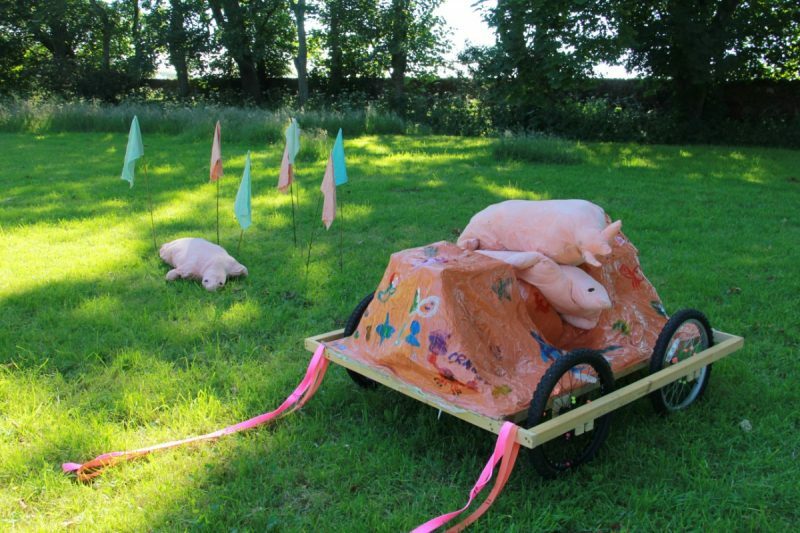 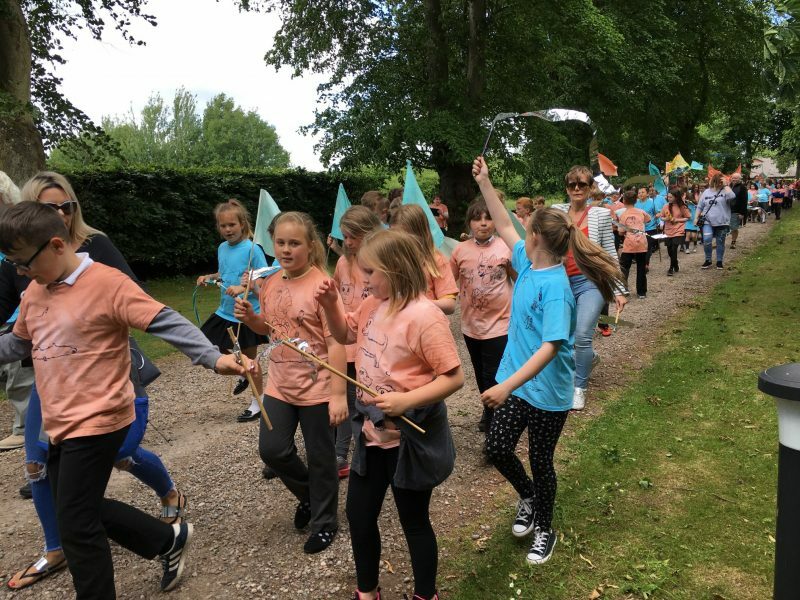 Hospitalfield Summer Festival 2018 will open with a glorious Children’s Procession on 18 June. 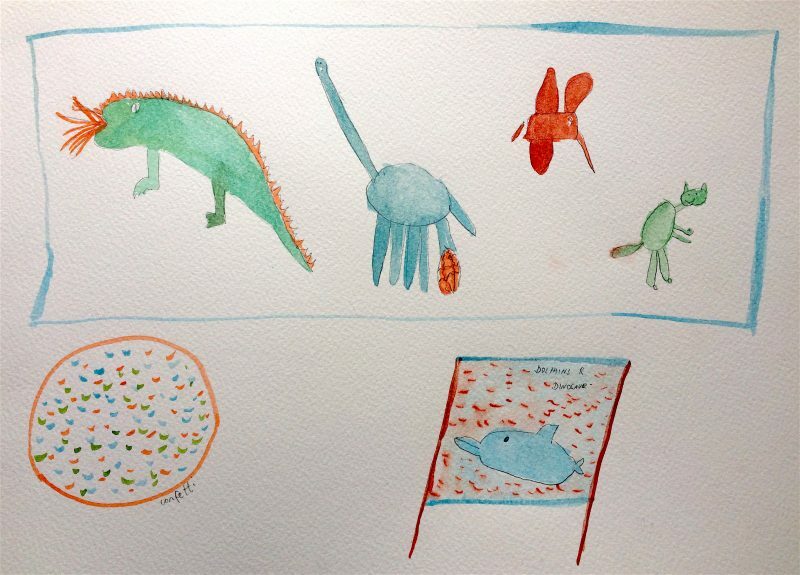 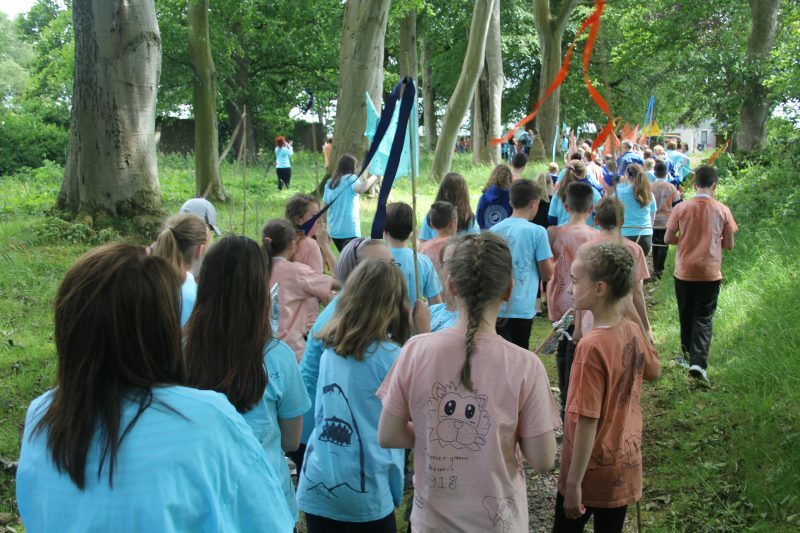 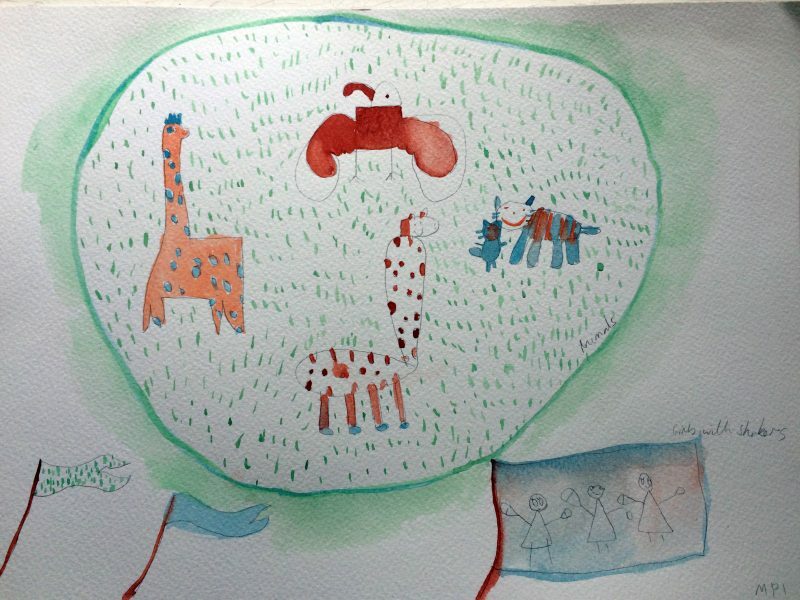 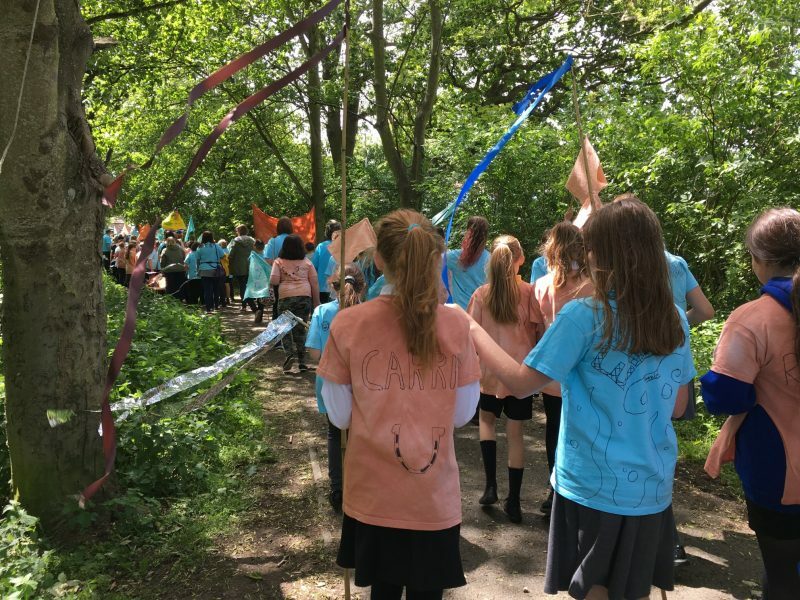 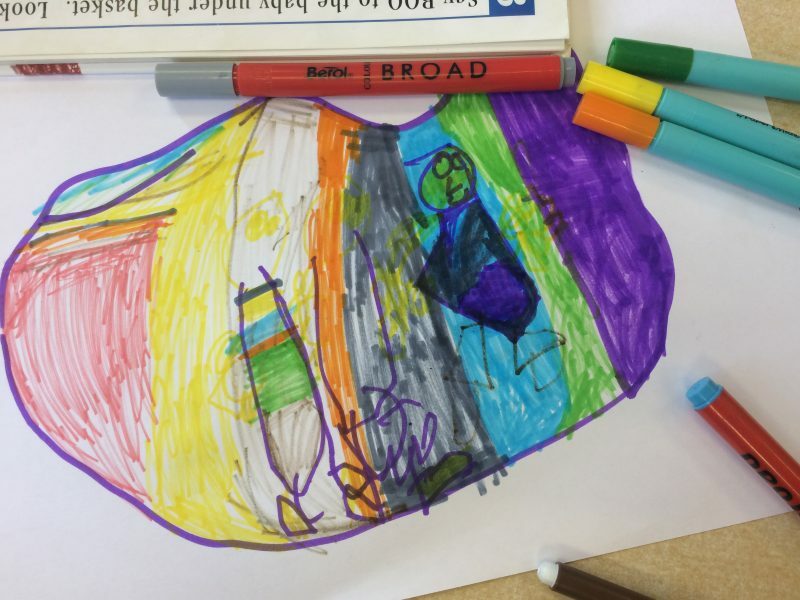 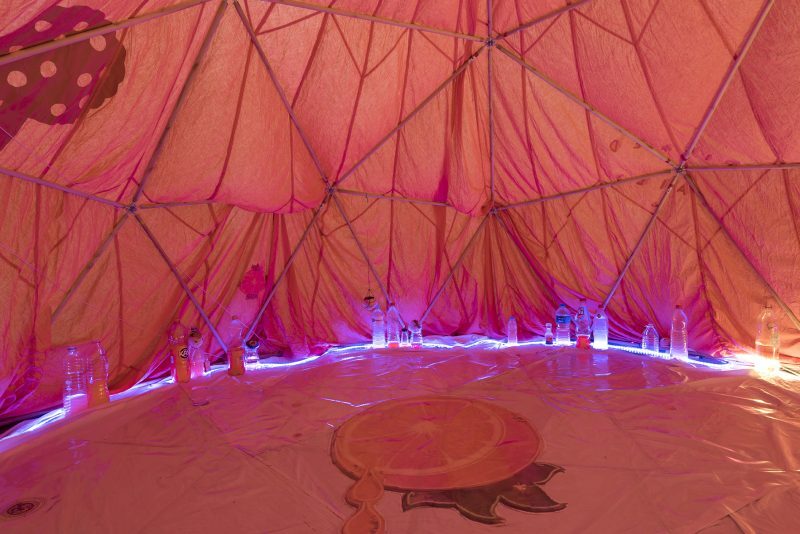 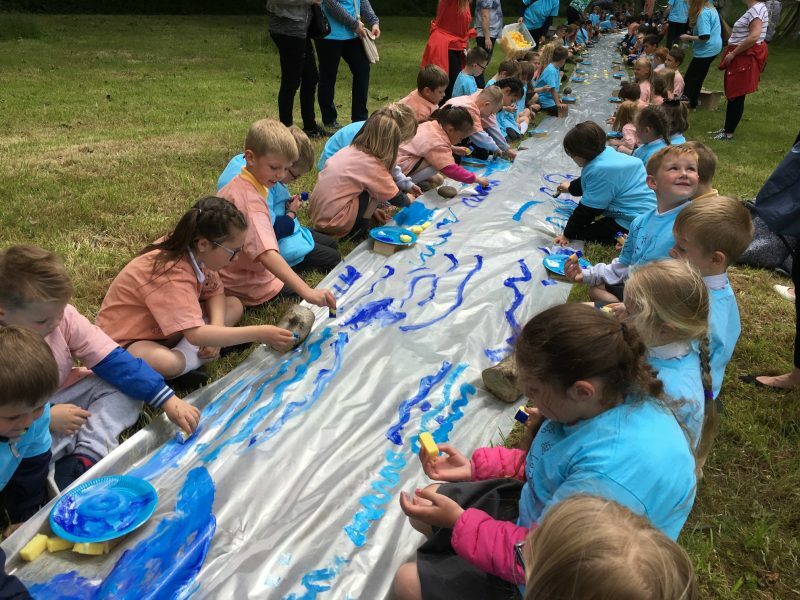 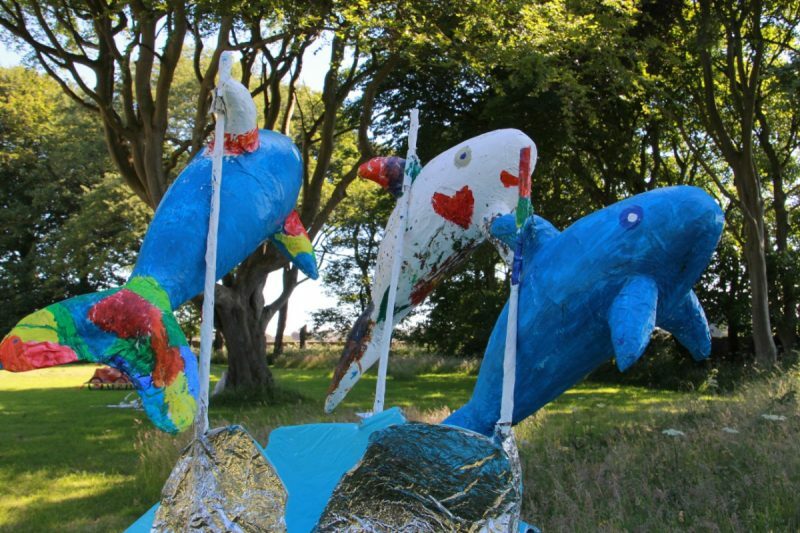 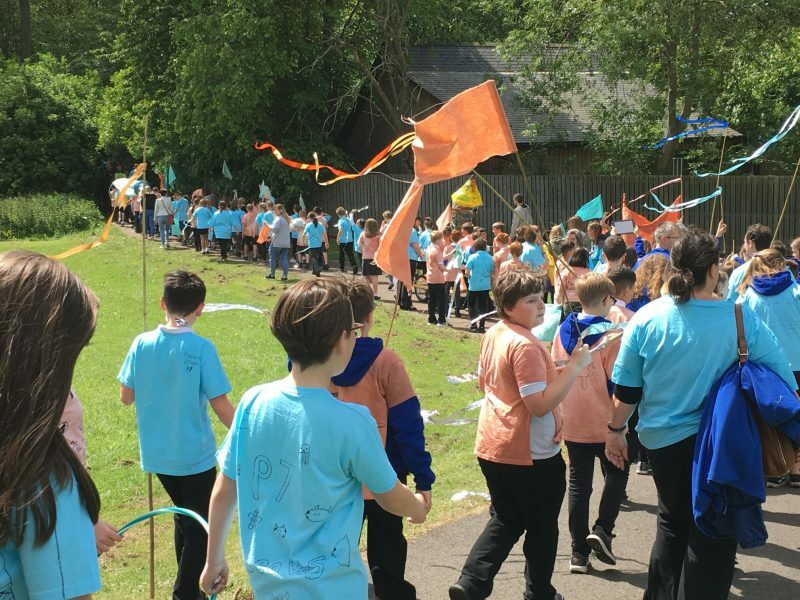 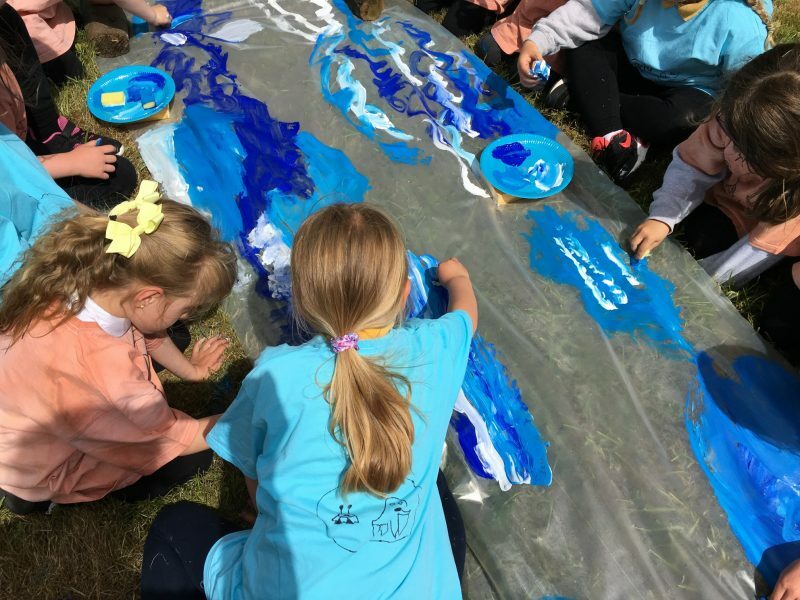 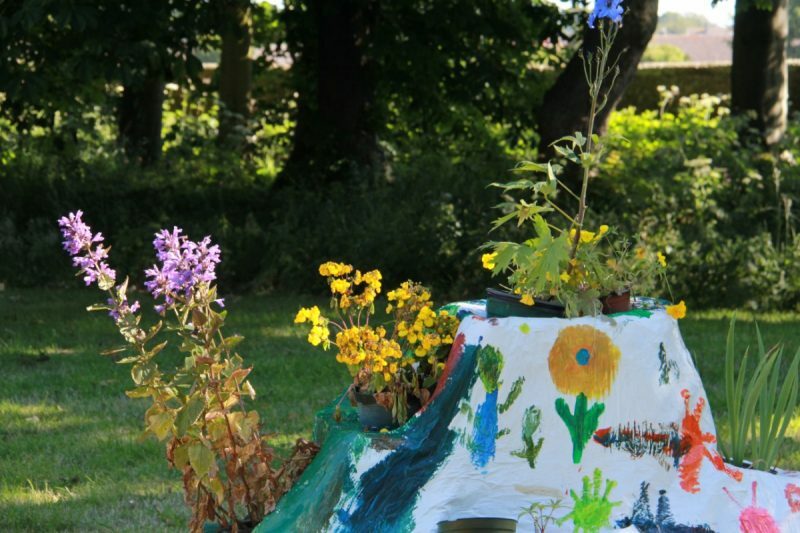 The artist Holly White and 400 children from Timmergreens and Muirfield Primary Schools will make a colourful, noisy, moving display which concludes at Hospitalfield House and celebrates them stepping forward into the next stage of their lives. 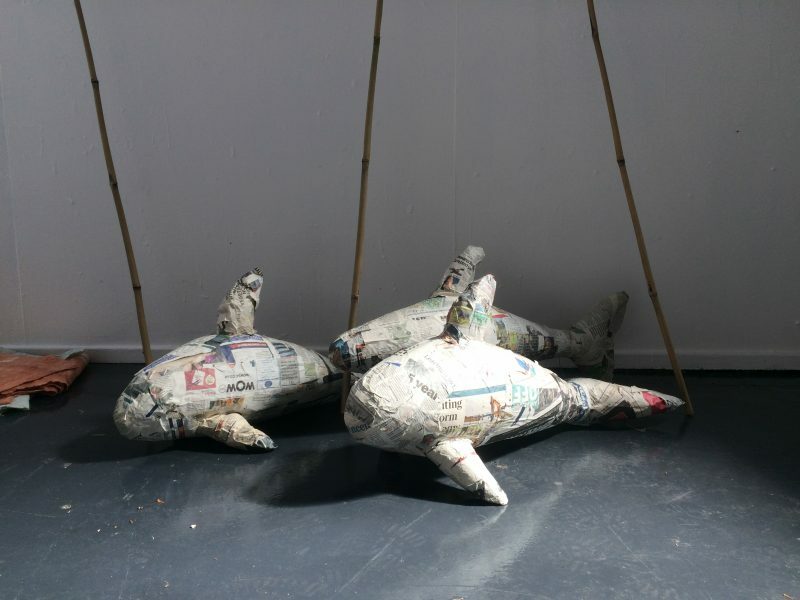 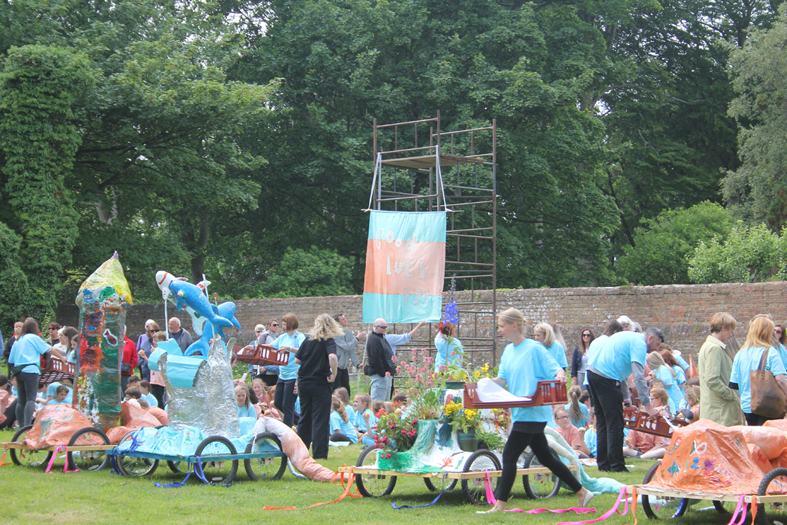 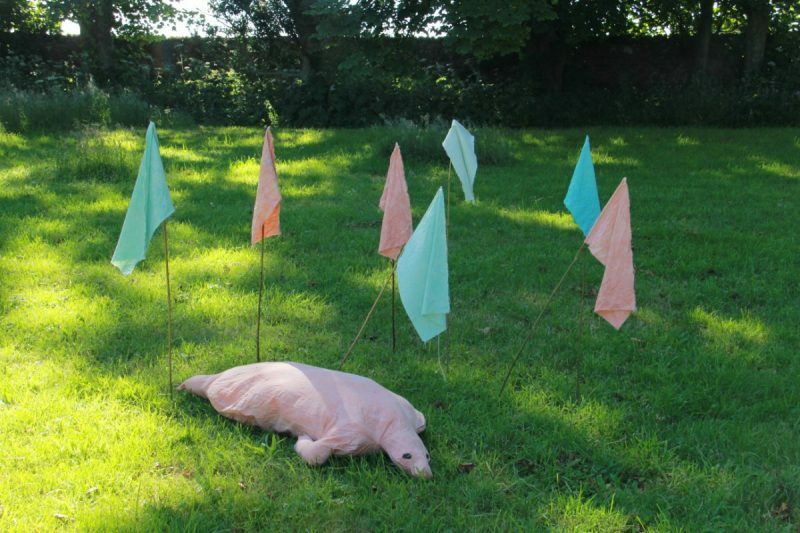 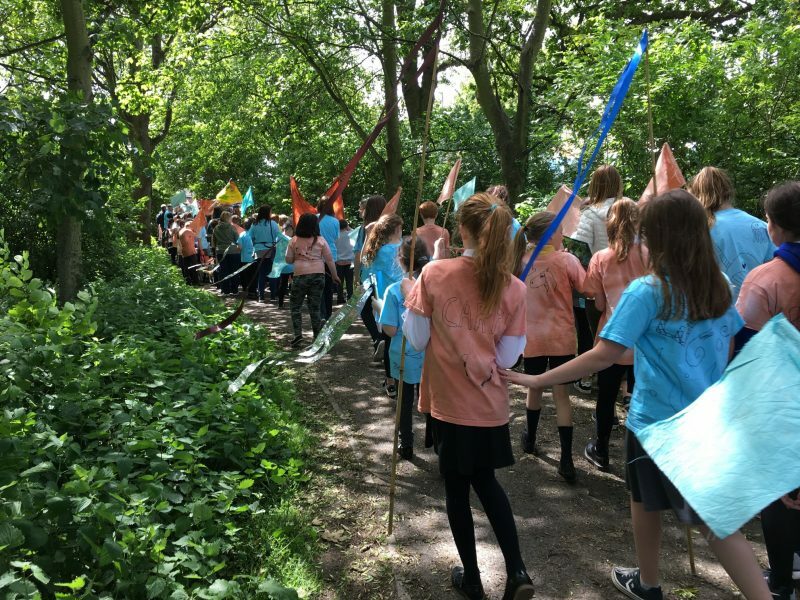 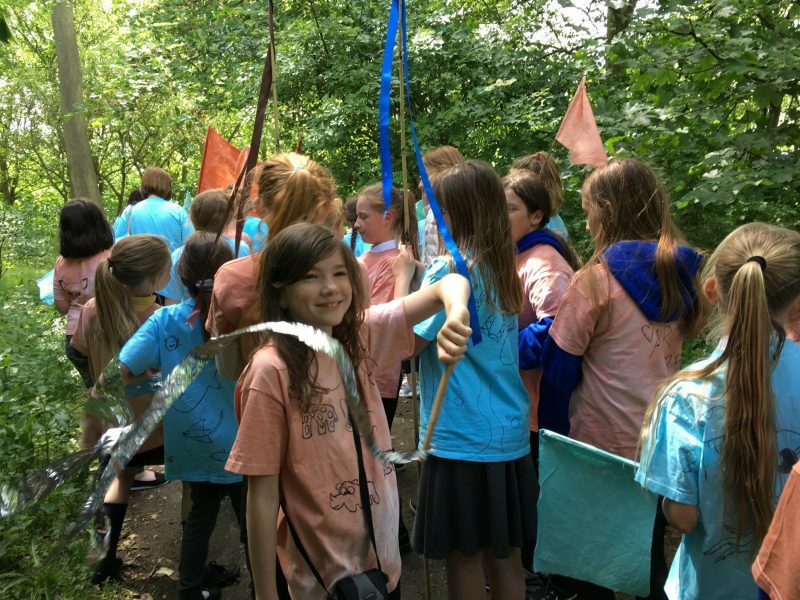 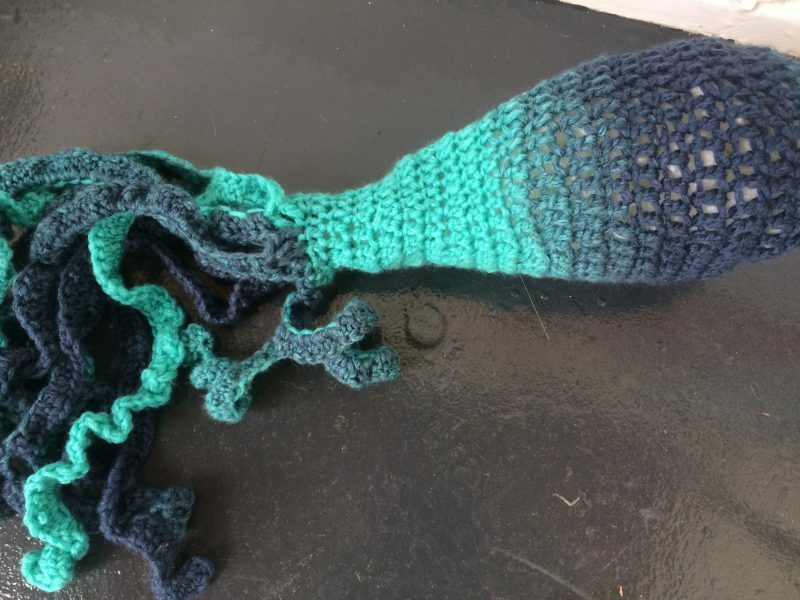 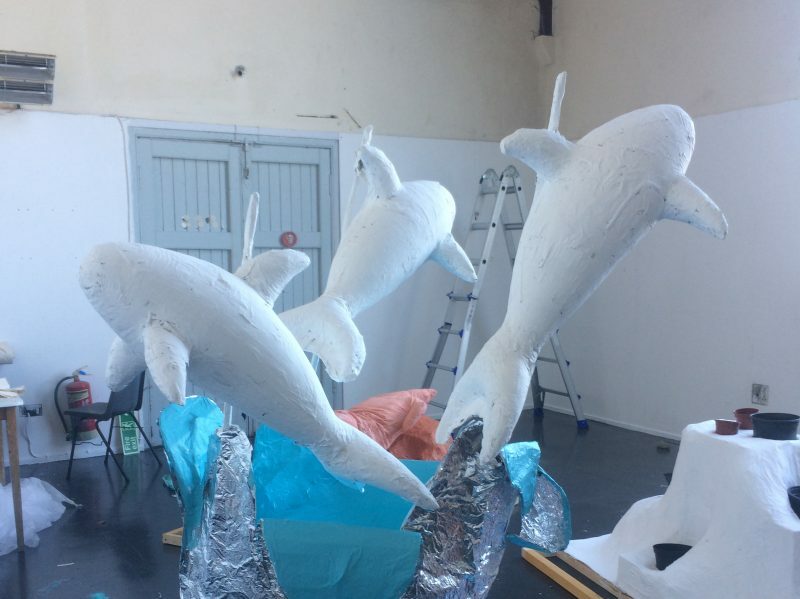 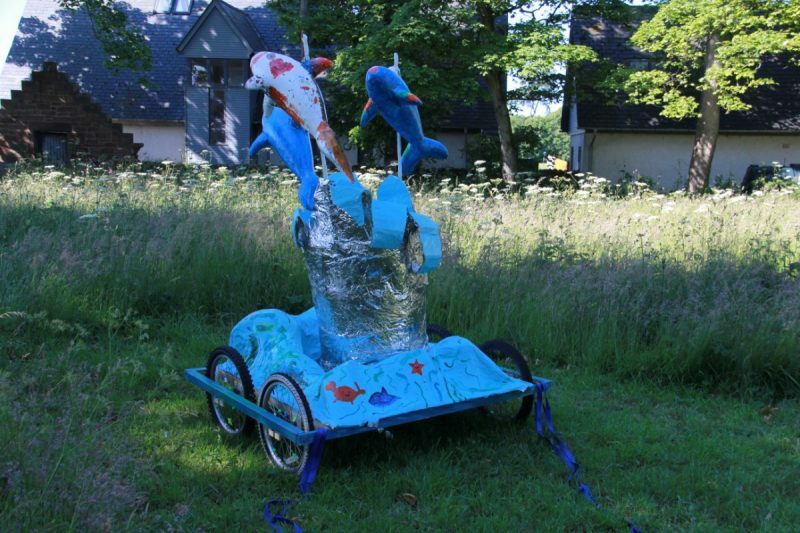 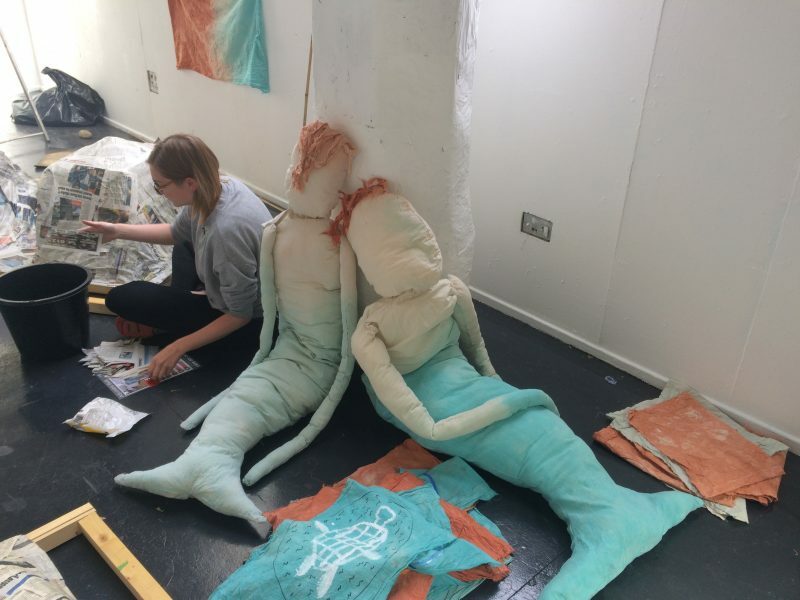 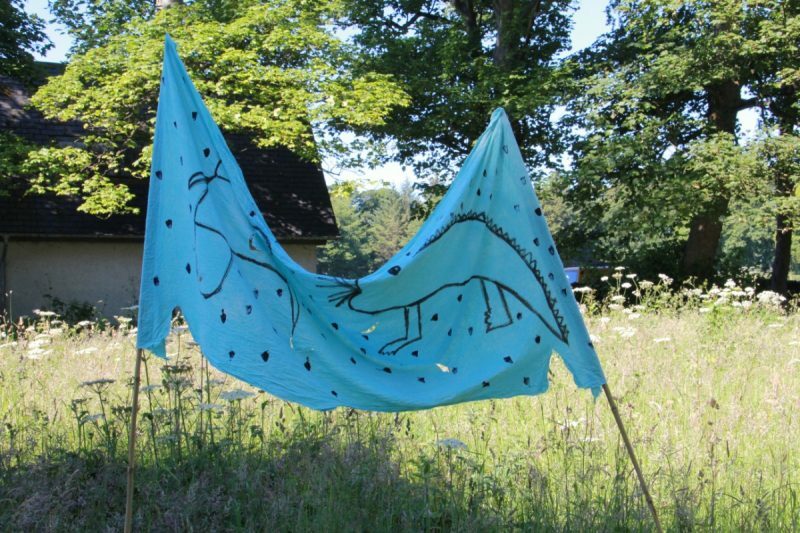 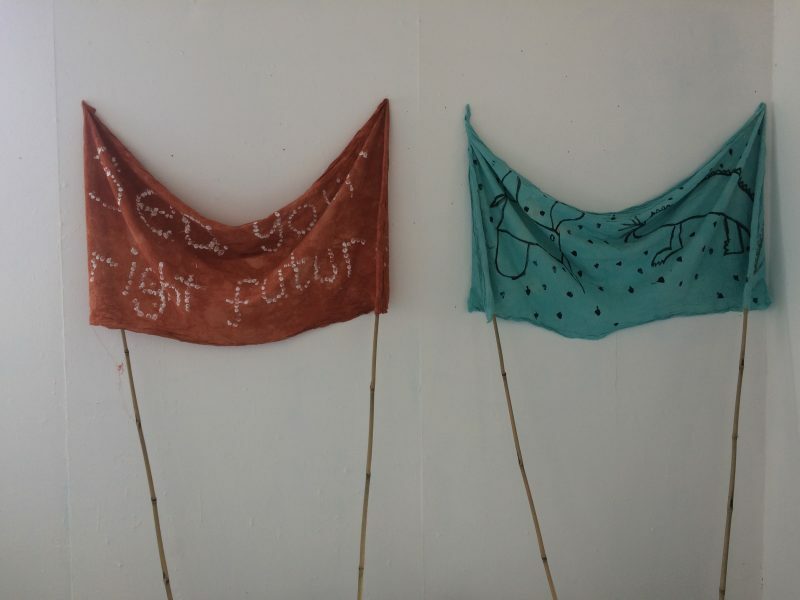 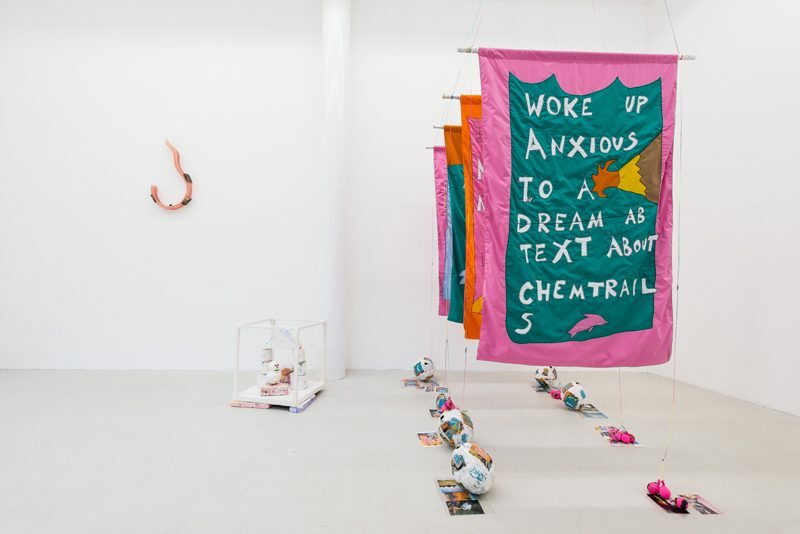 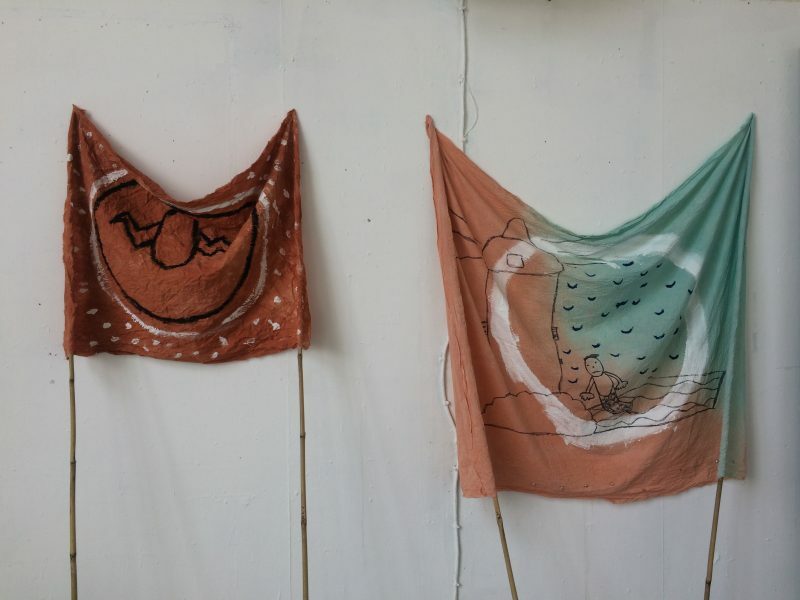 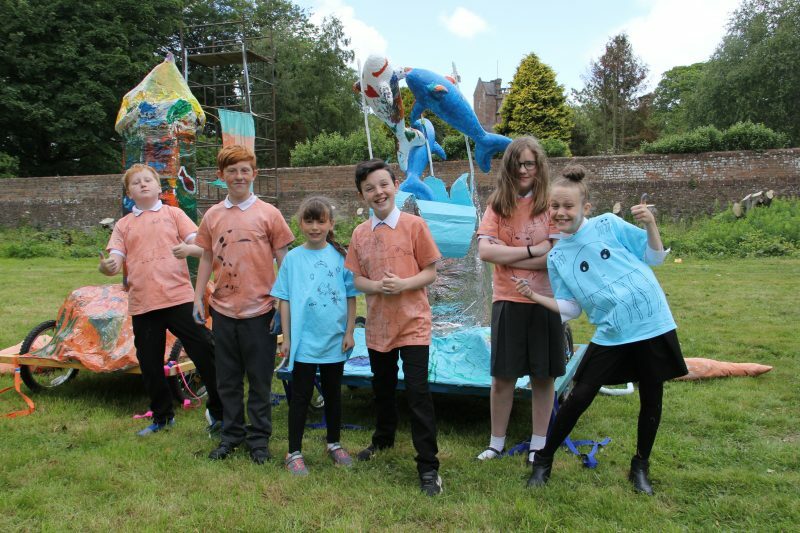 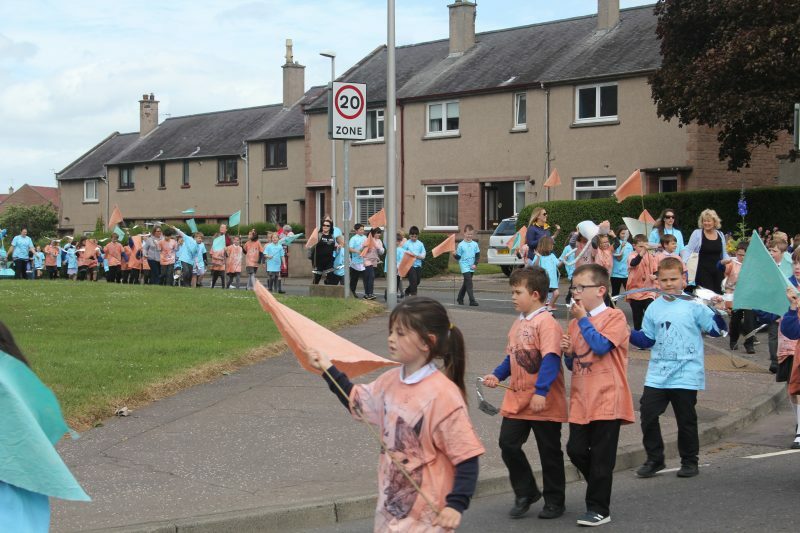 White has been working with the pupils, teachers and other makers over the last four months to devise the ideas behind the Procession and to make sculptures, flags, banners and t-shirts. 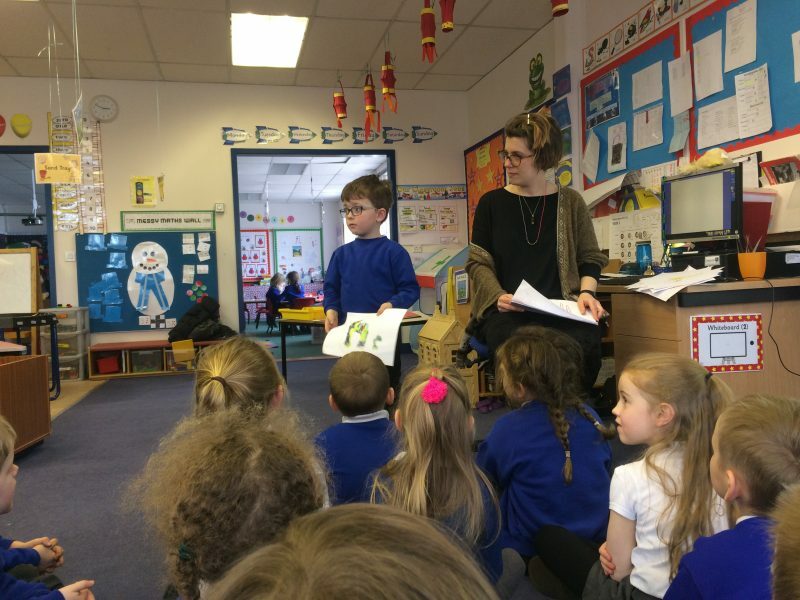 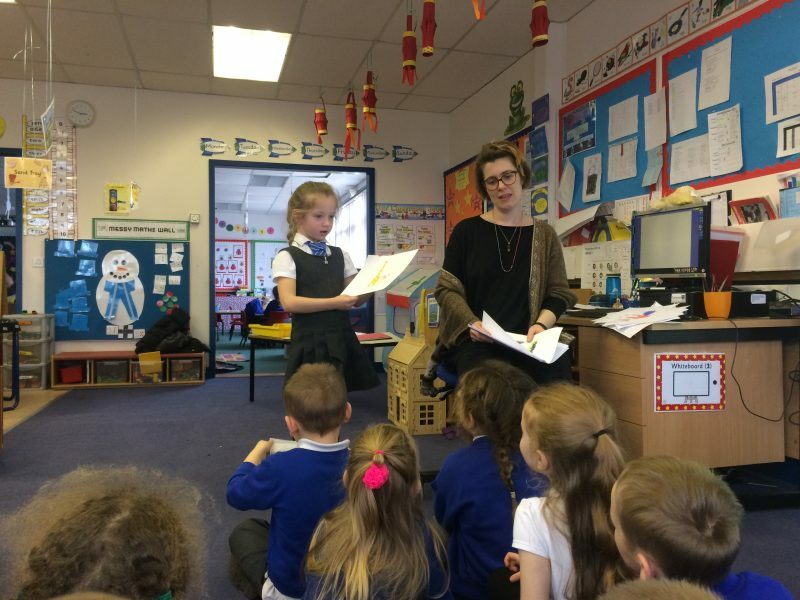 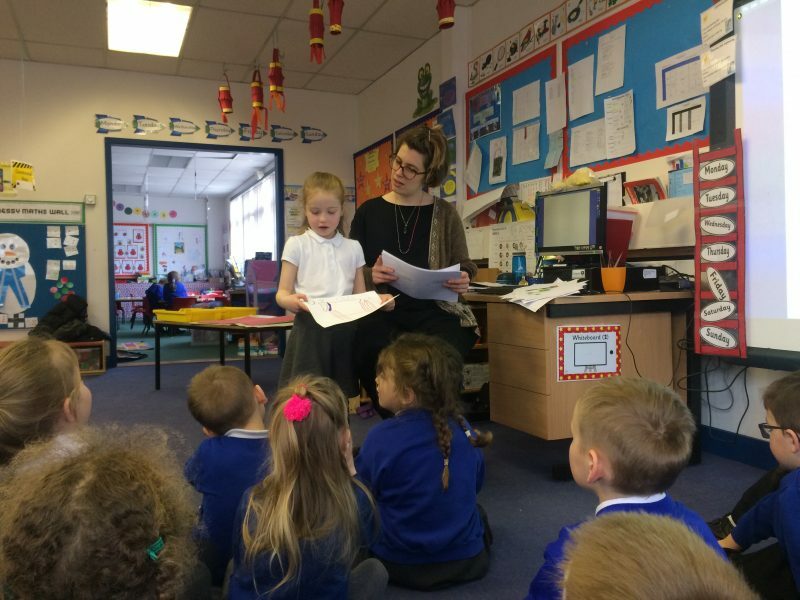 The contact at Timmergreens is Jacqui Smith, Head Teacher and the contact at Muirfield is Ashlea MacDonald, Principle Teacher. 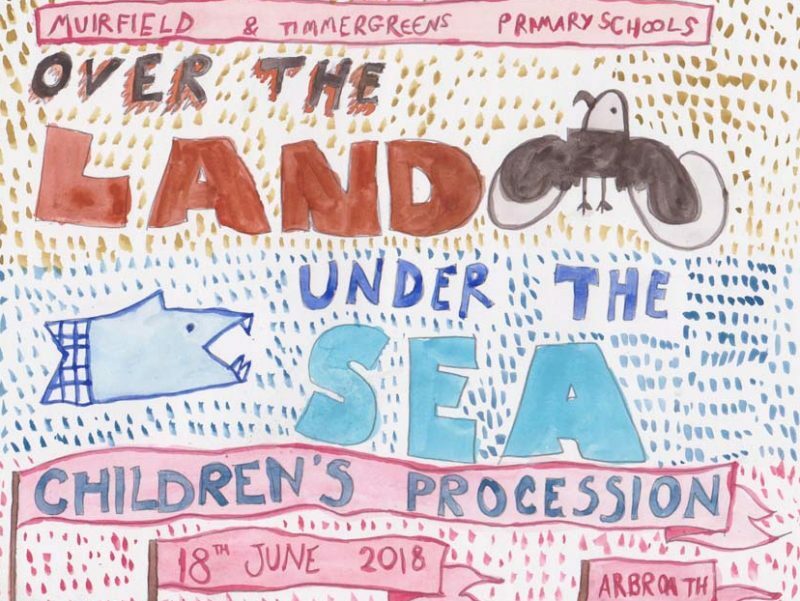 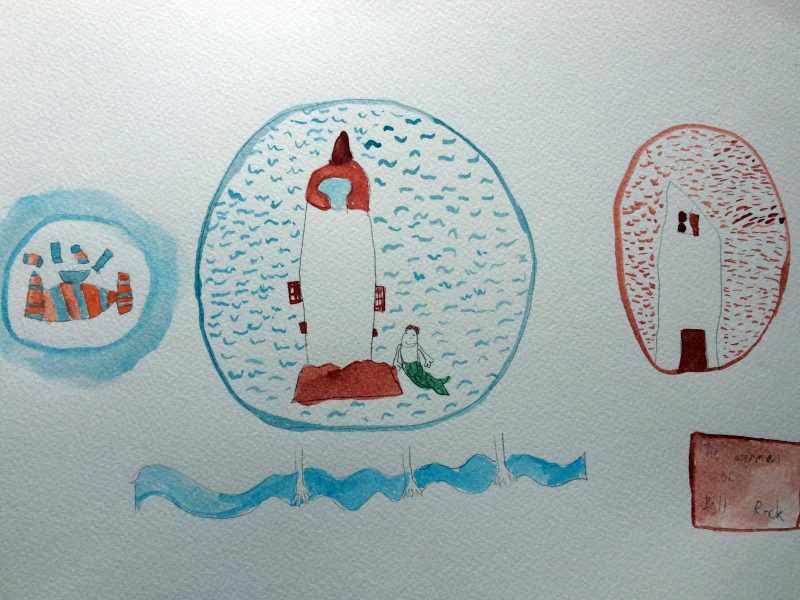 Holly White’s watercolour paintings of Children’s Procession ideas alongside initial sketches and reference images including from 1945 Parade from the Detroit News archives. 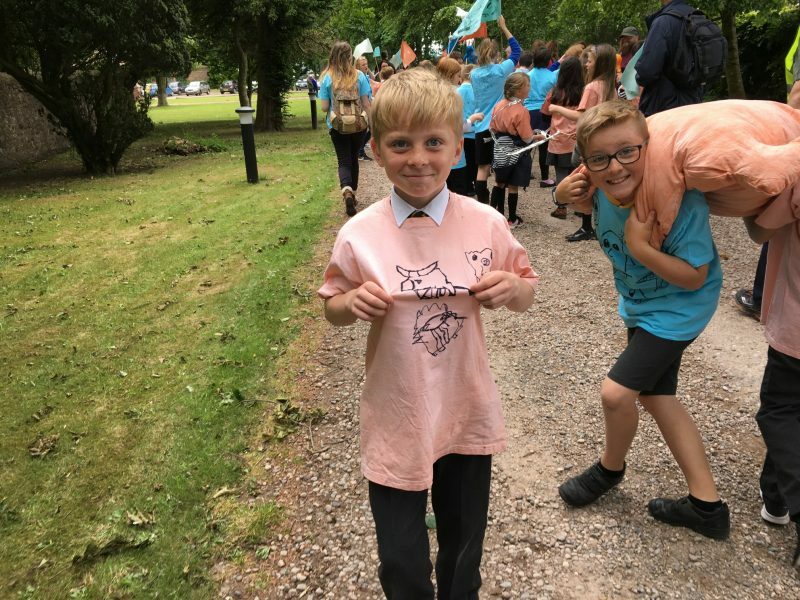 Now in its second year, the Children’s Graduation Procession celebrates the children from local schools moving up to the next year and moving on to secondary school. 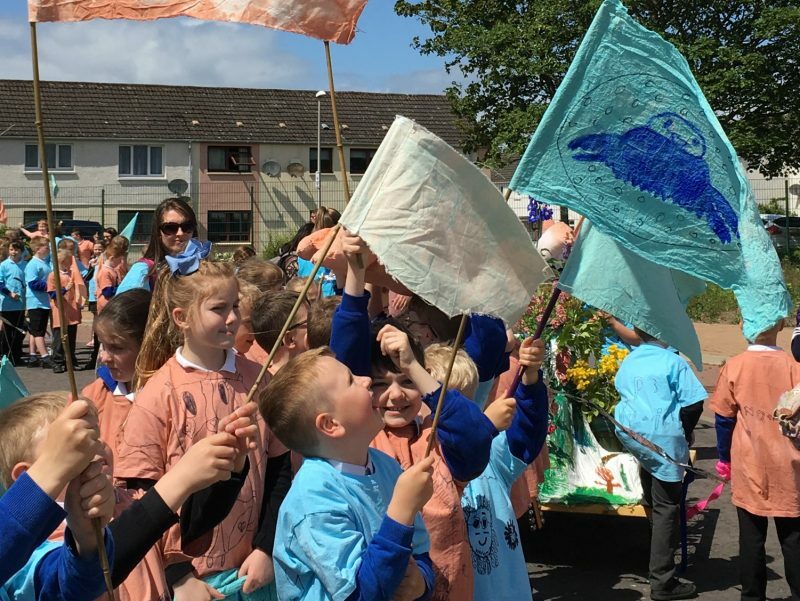 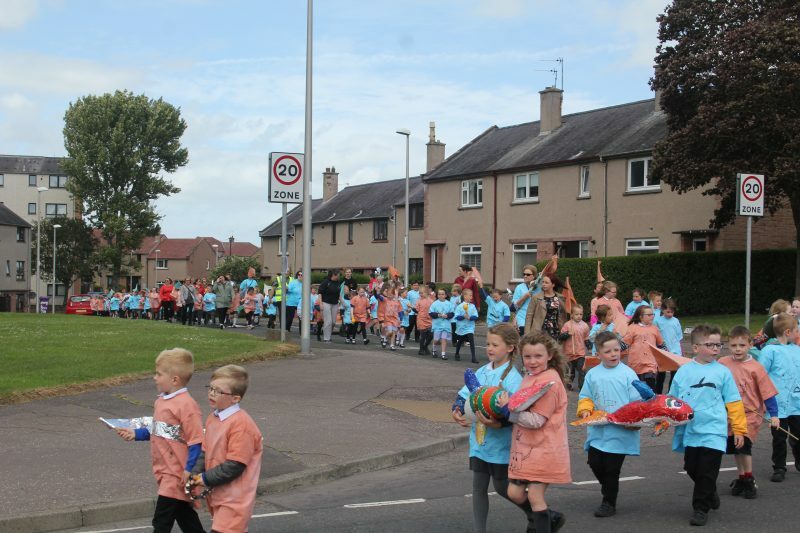 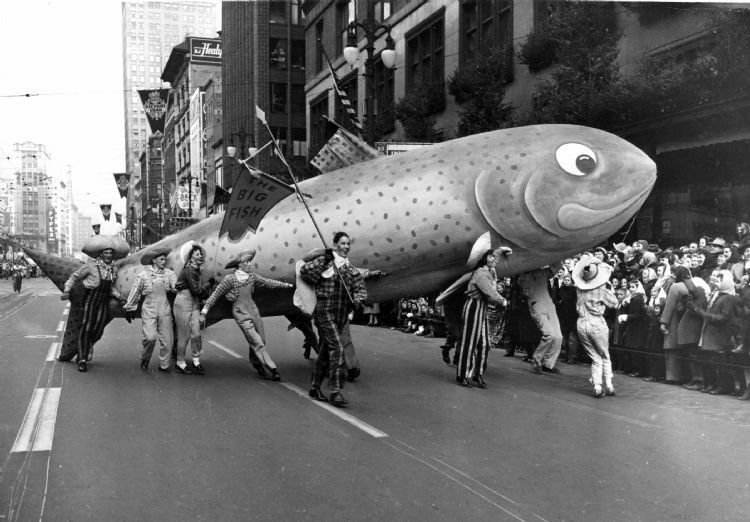 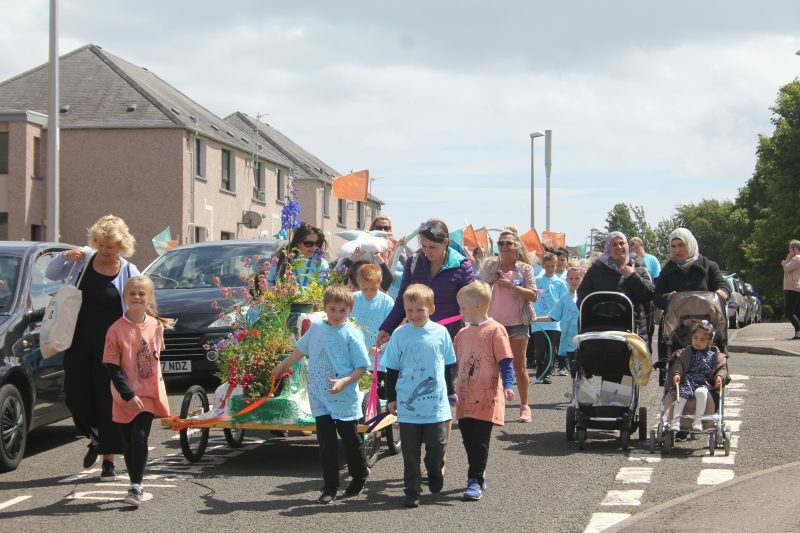 Everyone, including friends and families of the pupils are invited to line the streets on the procession route and come to the special welcome event at Hospitalfield. 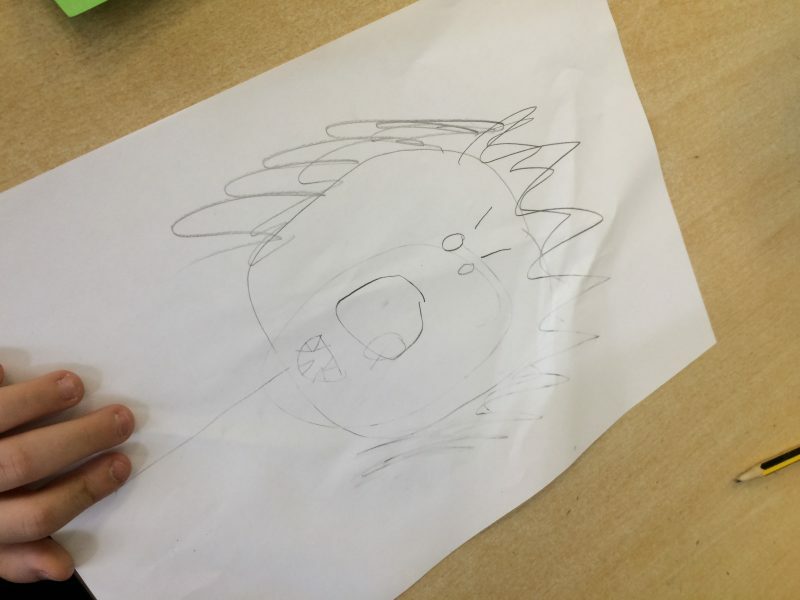 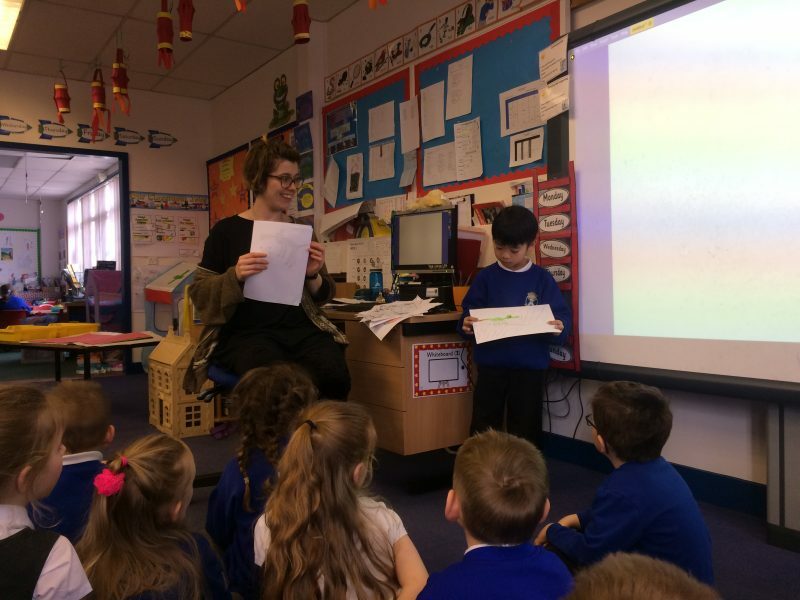 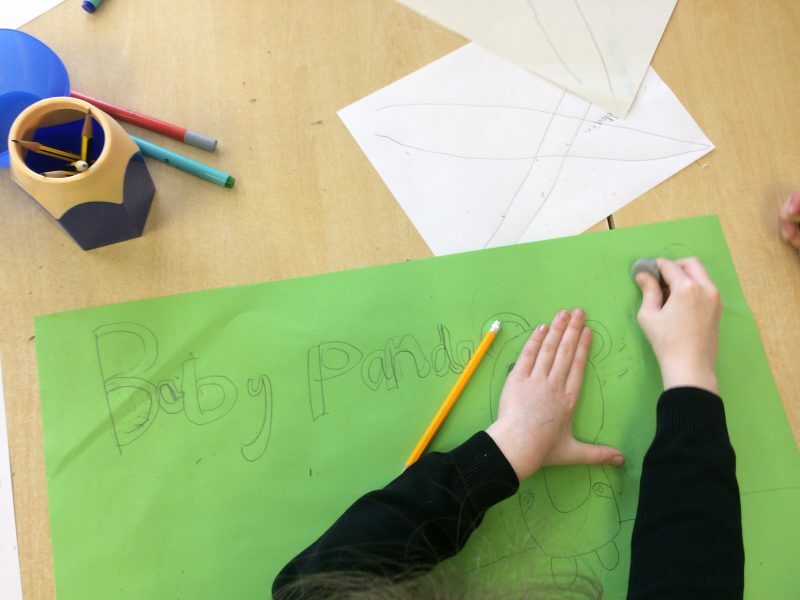 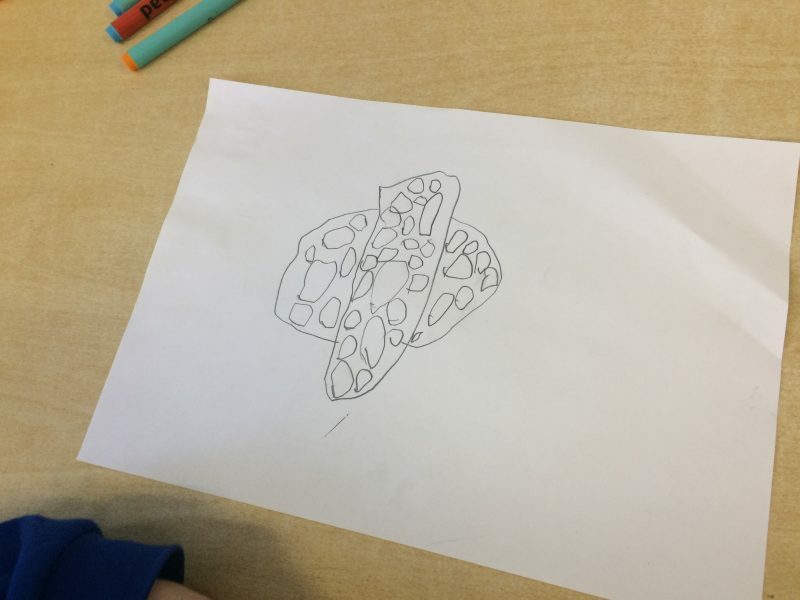 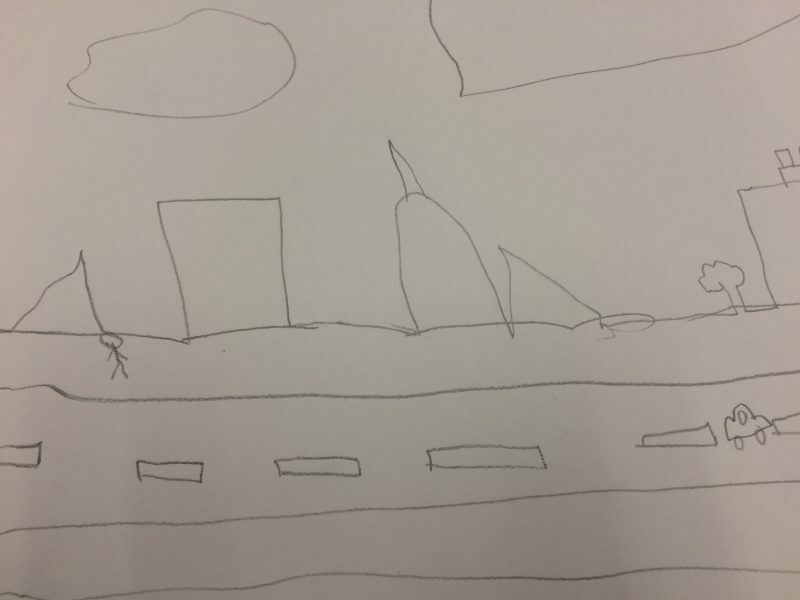 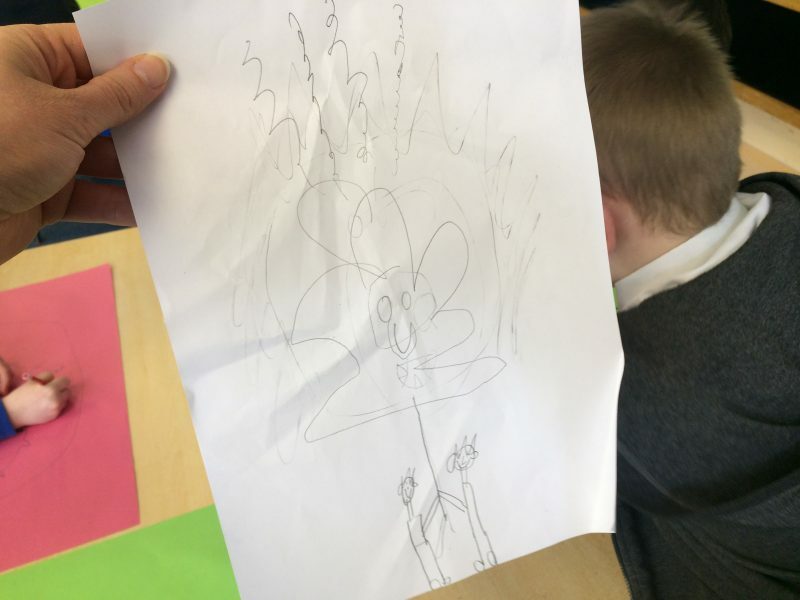 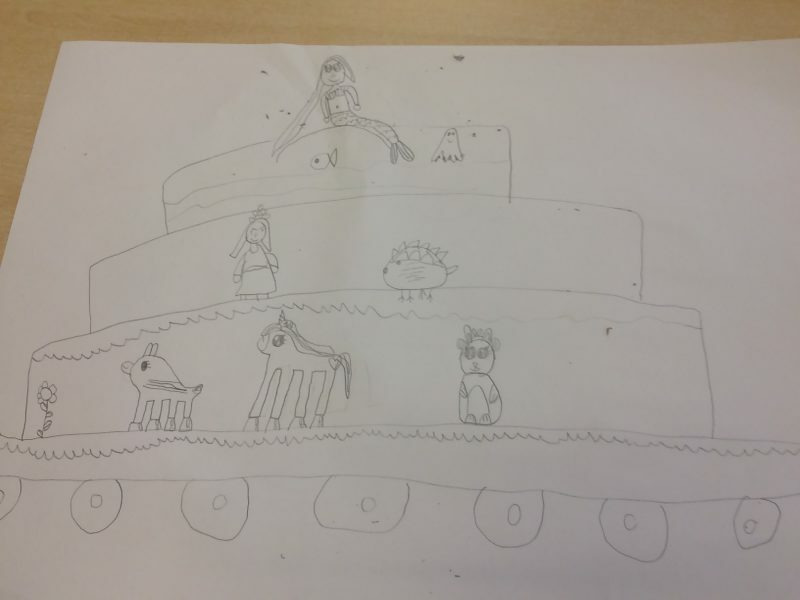 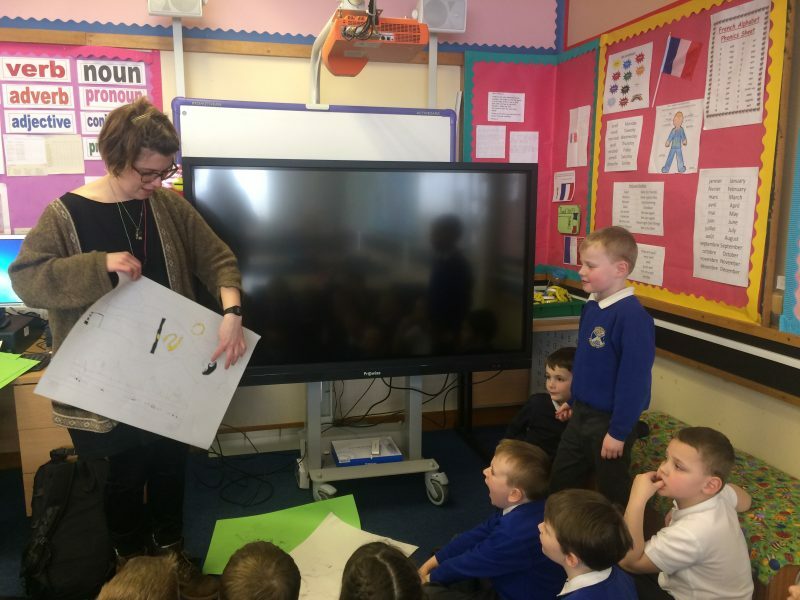 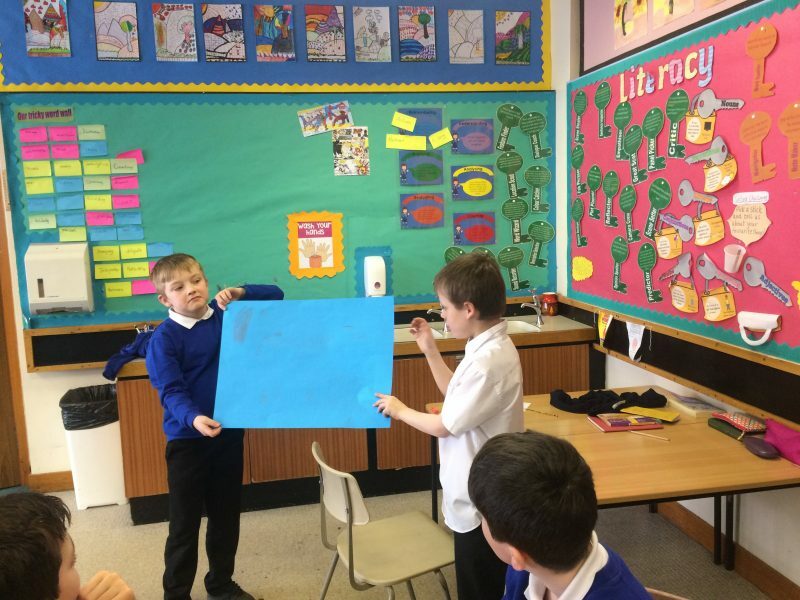 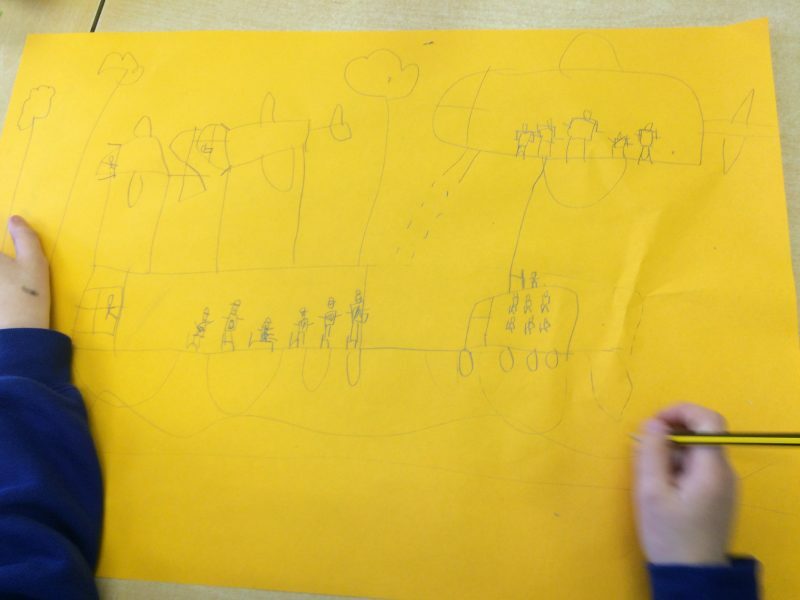 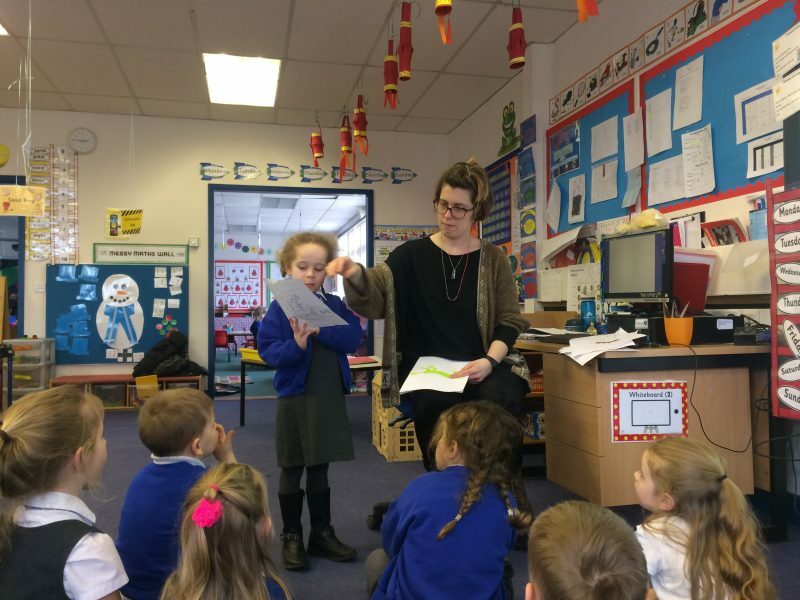 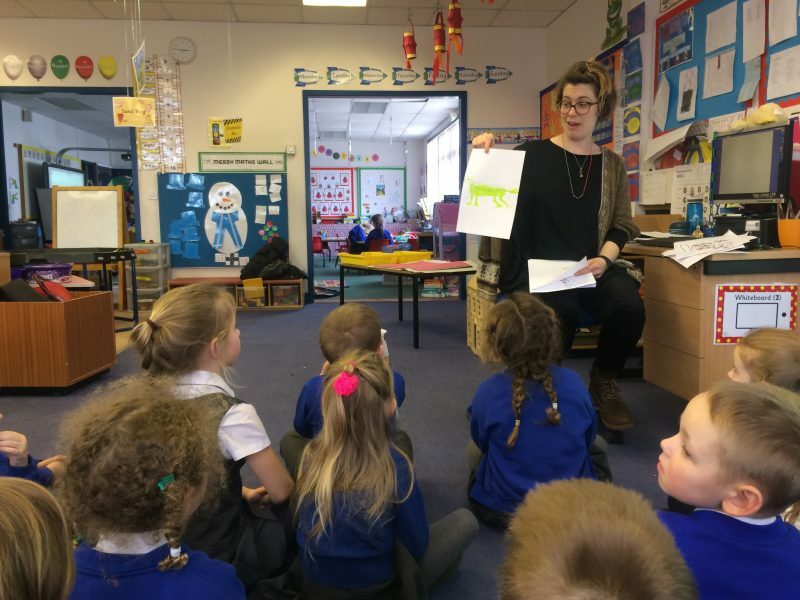 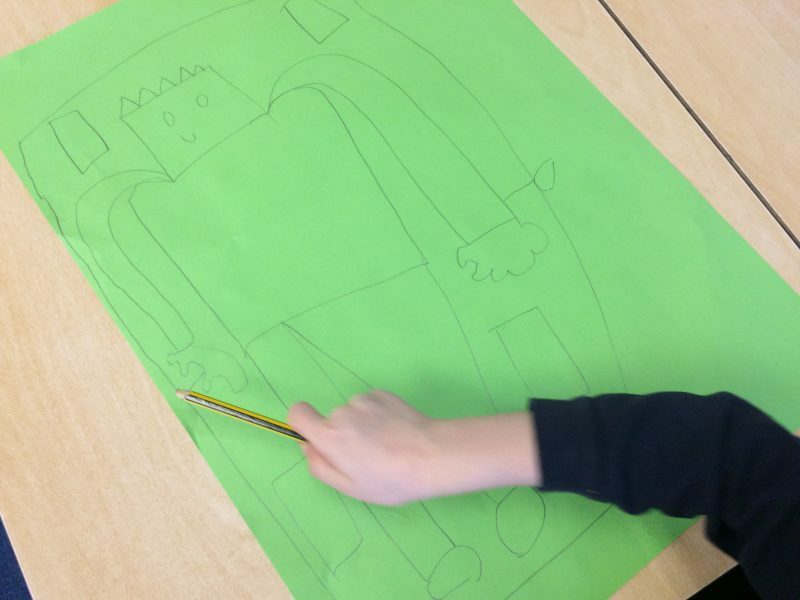 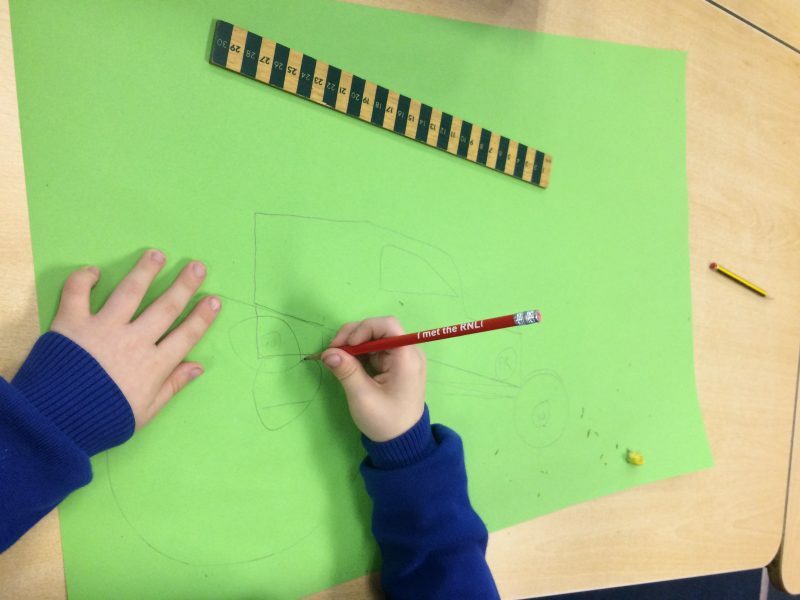 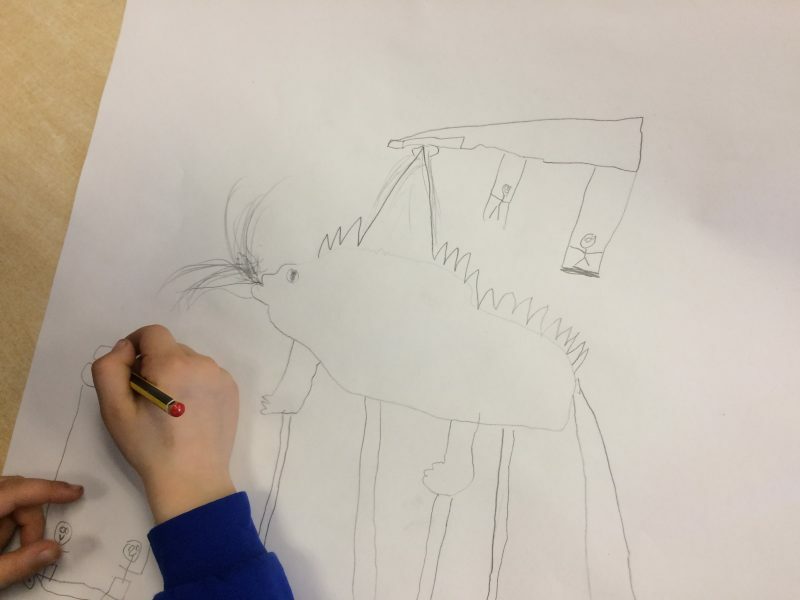 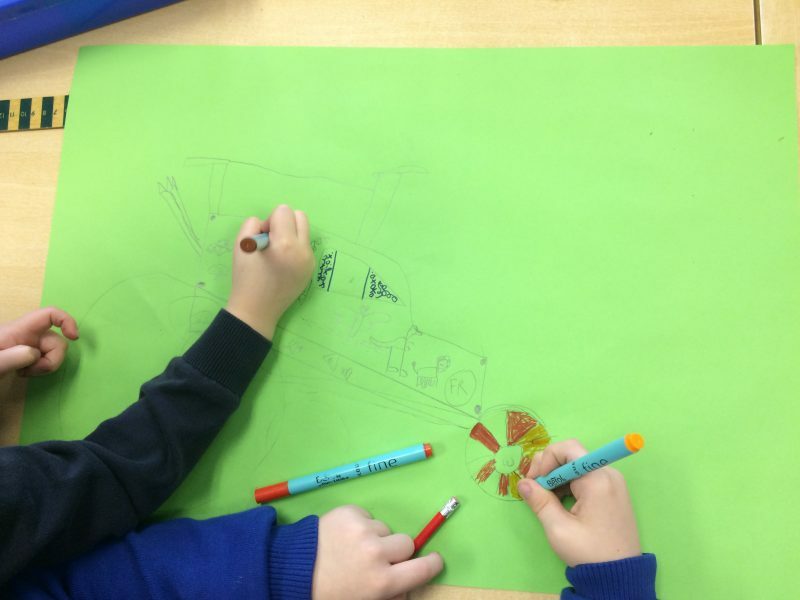 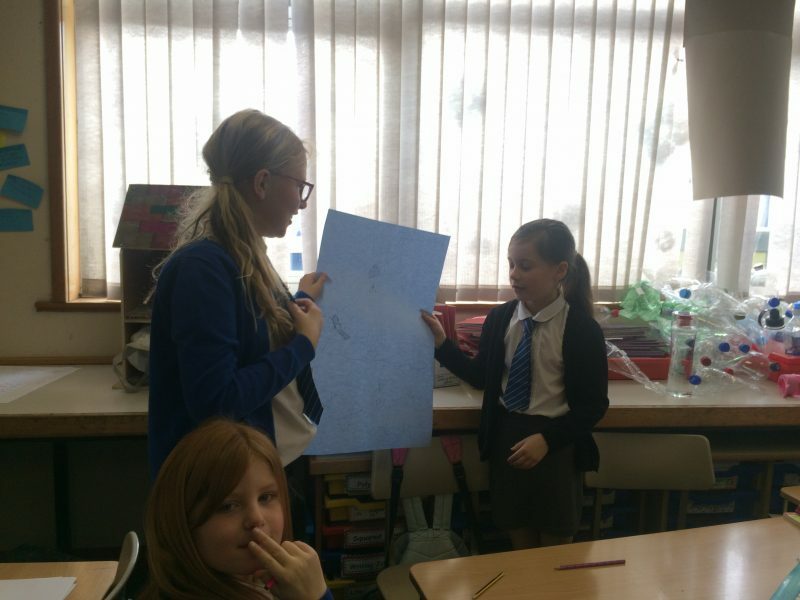 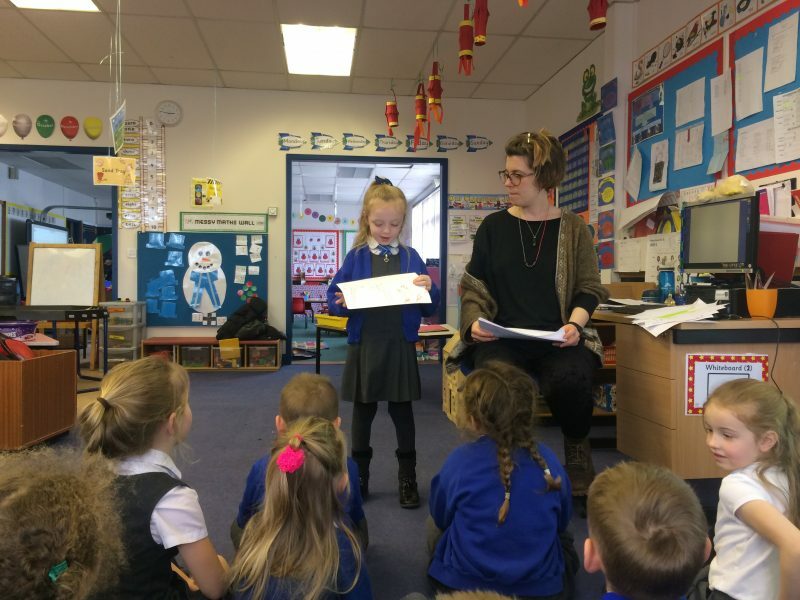 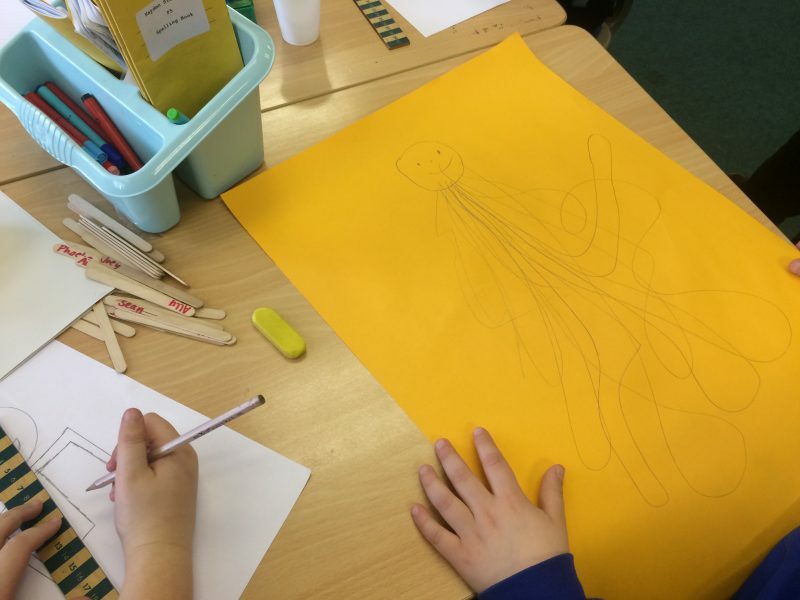 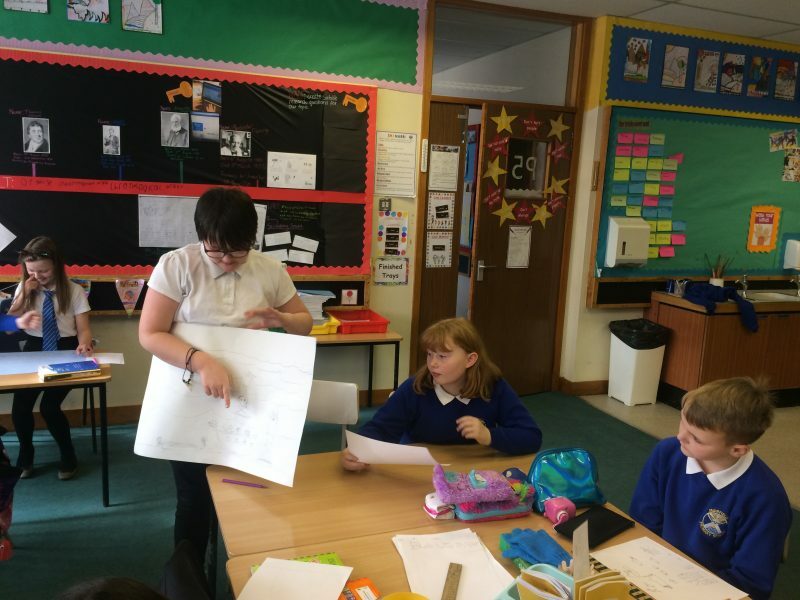 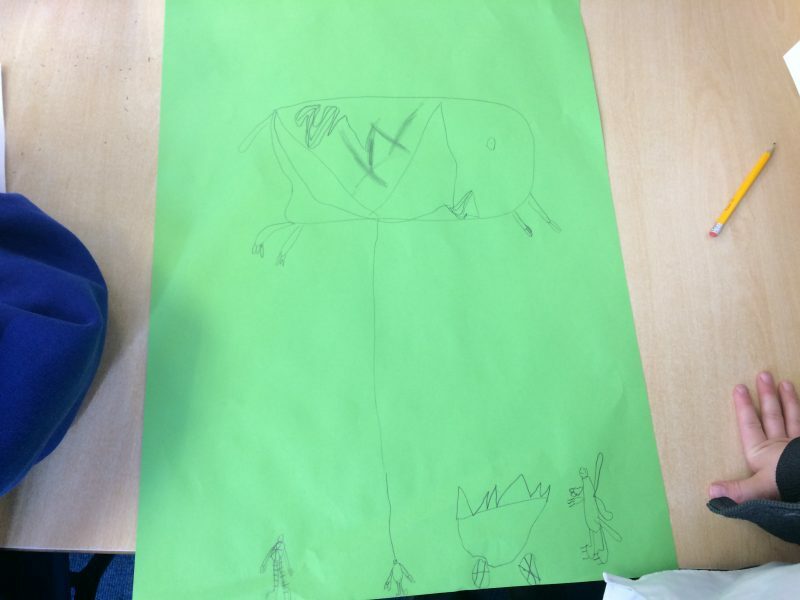 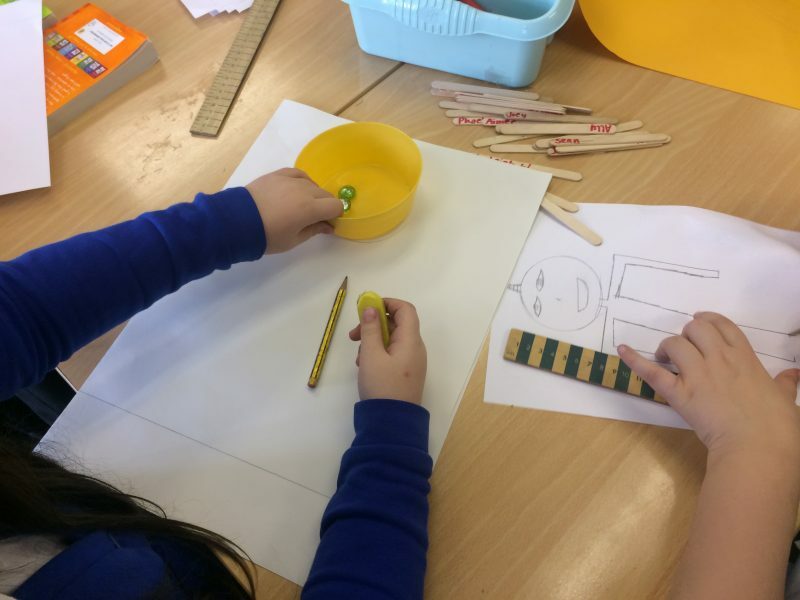 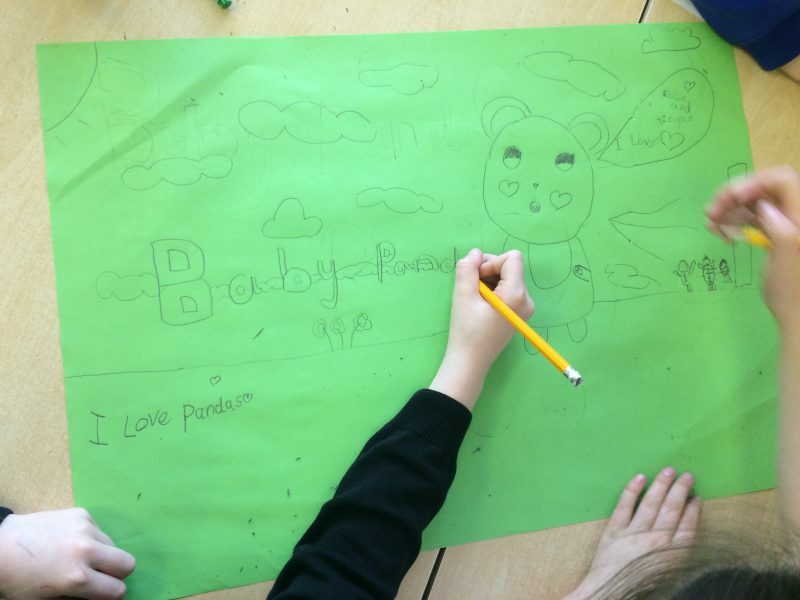 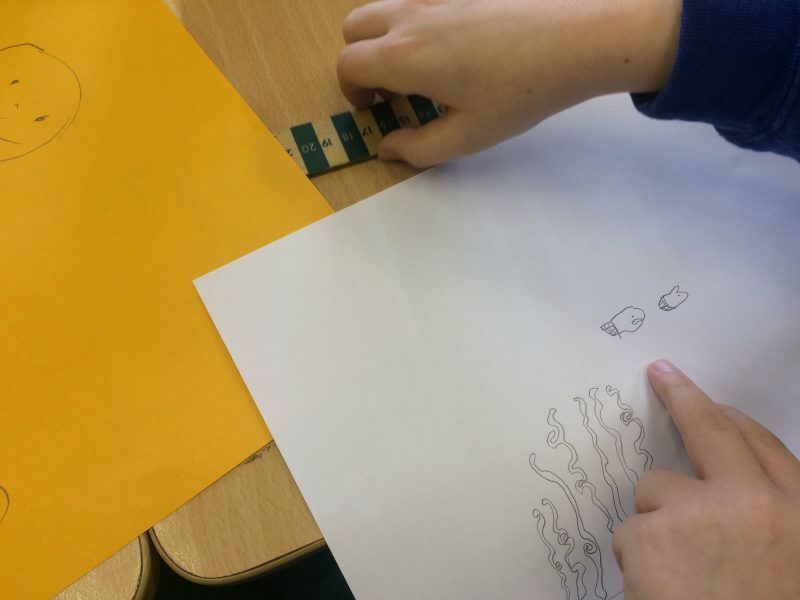 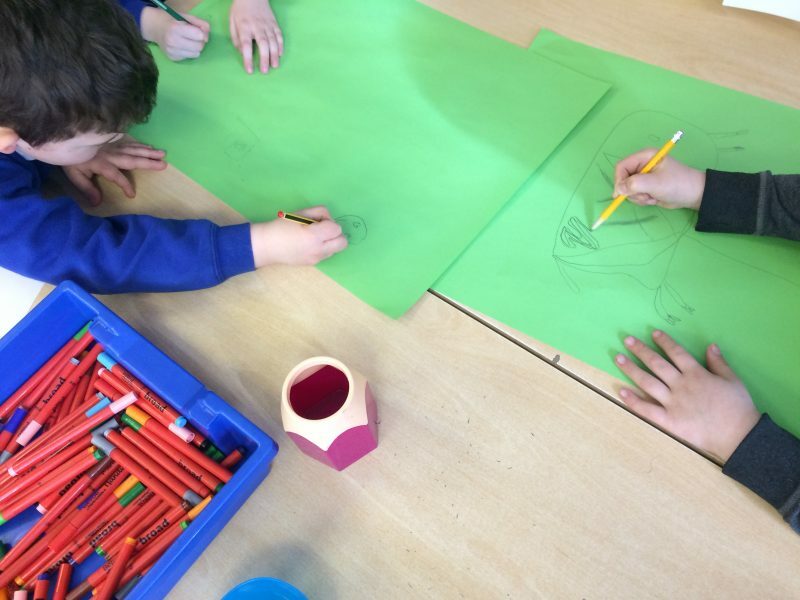 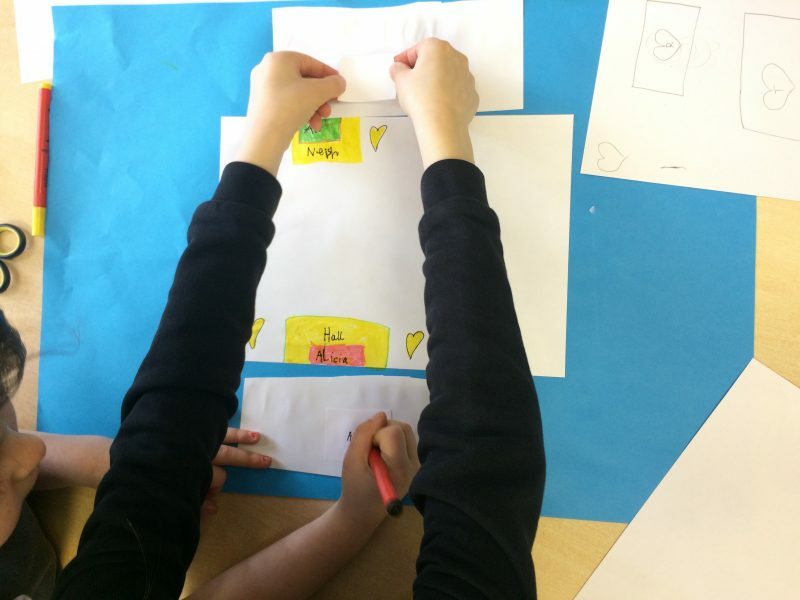 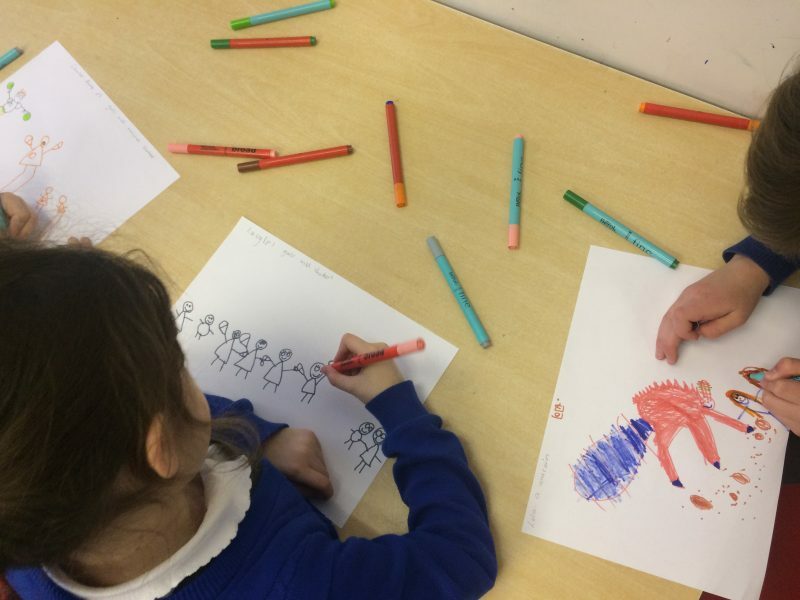 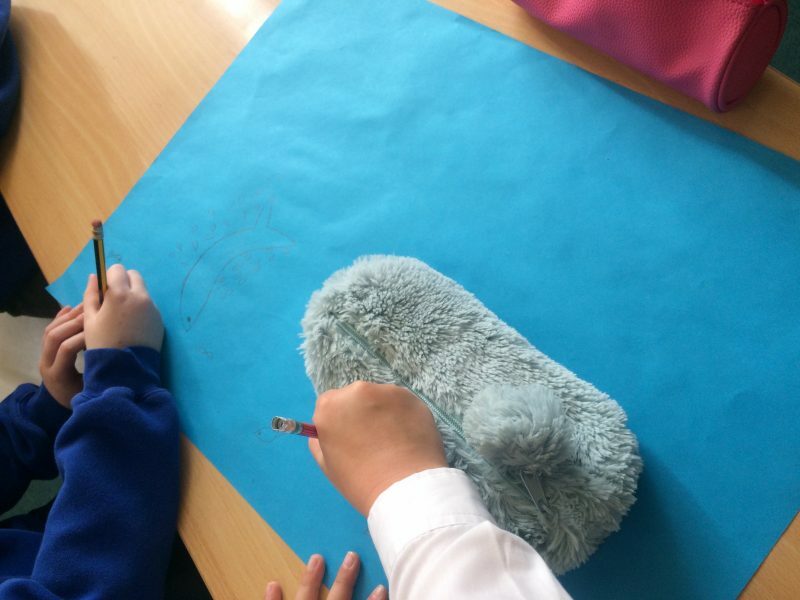 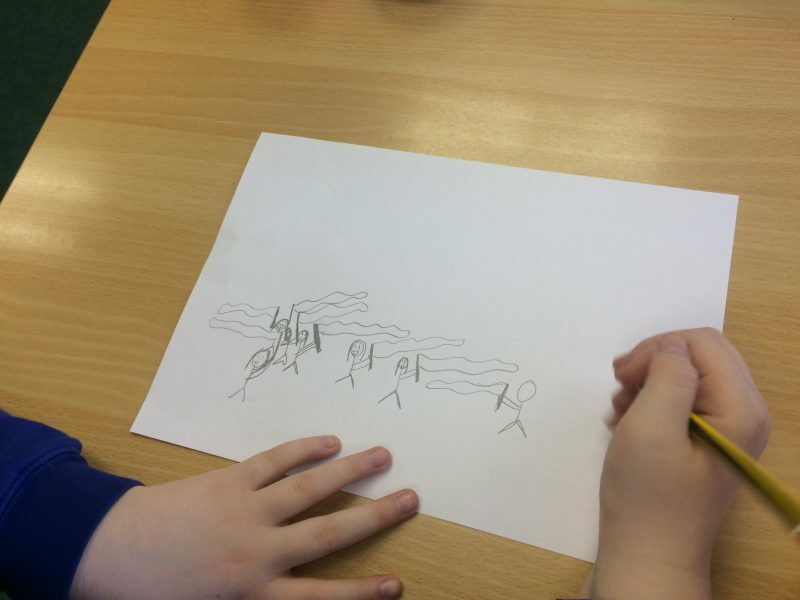 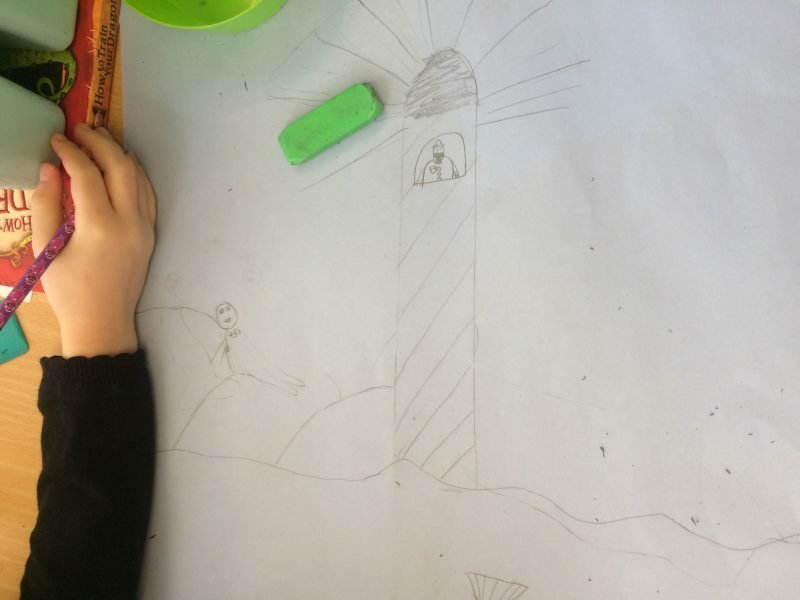 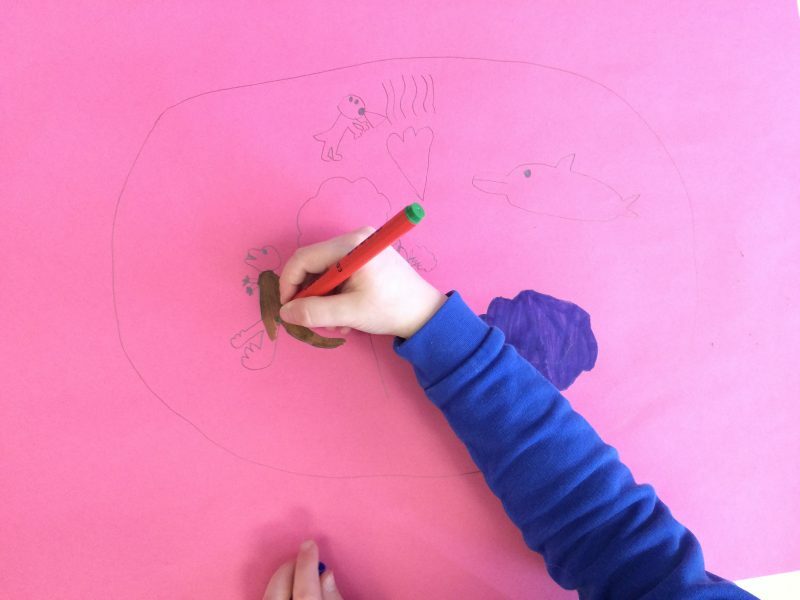 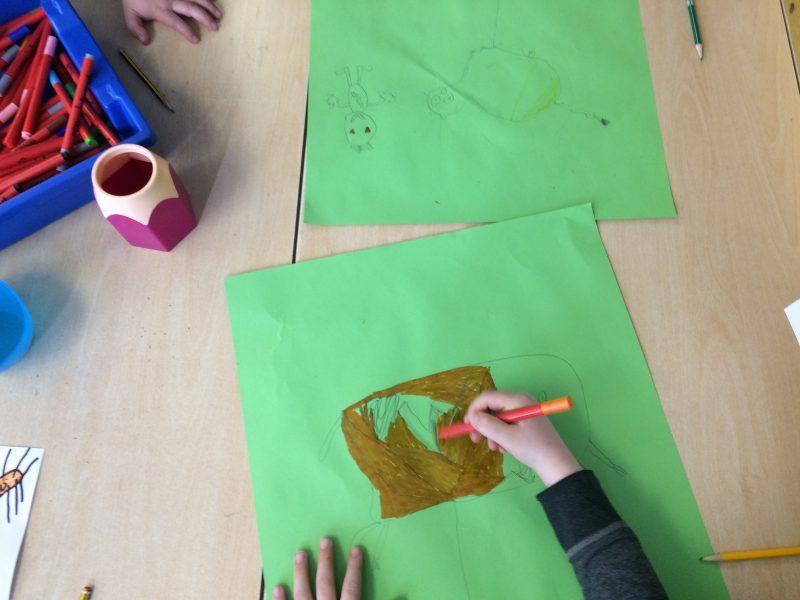 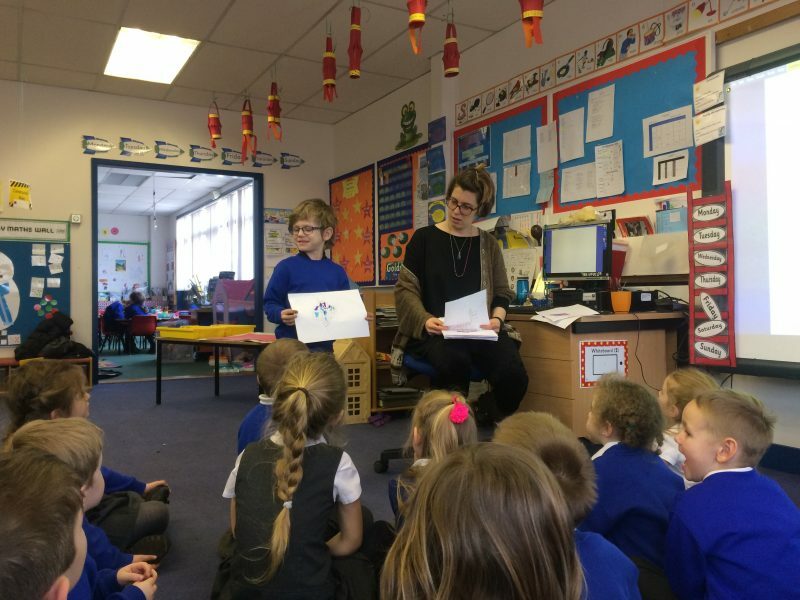 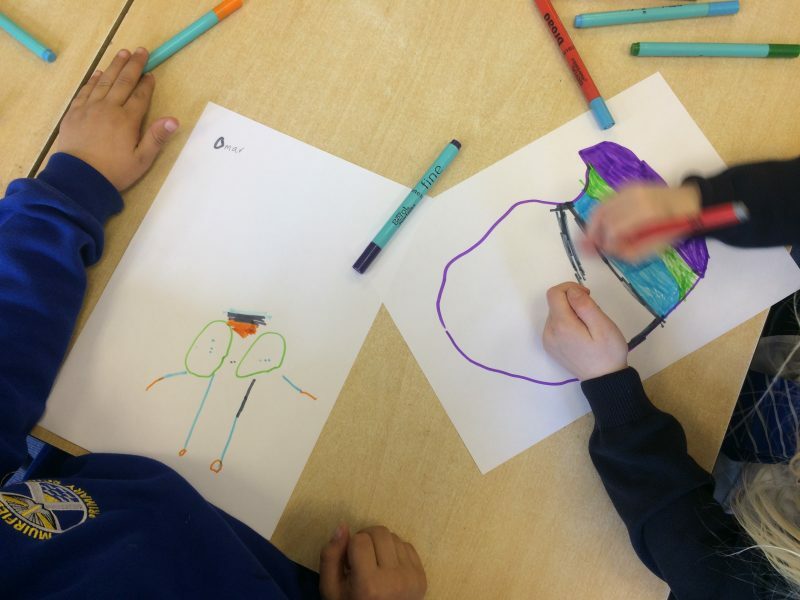 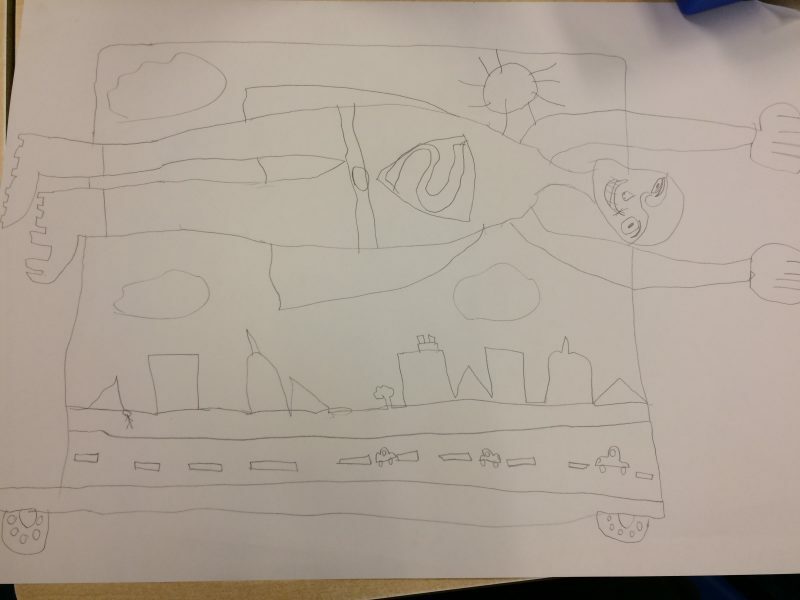 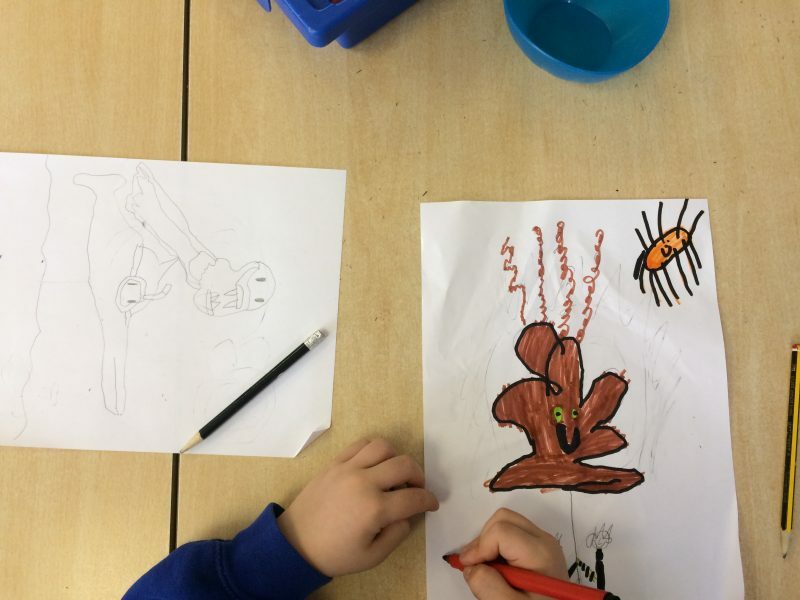 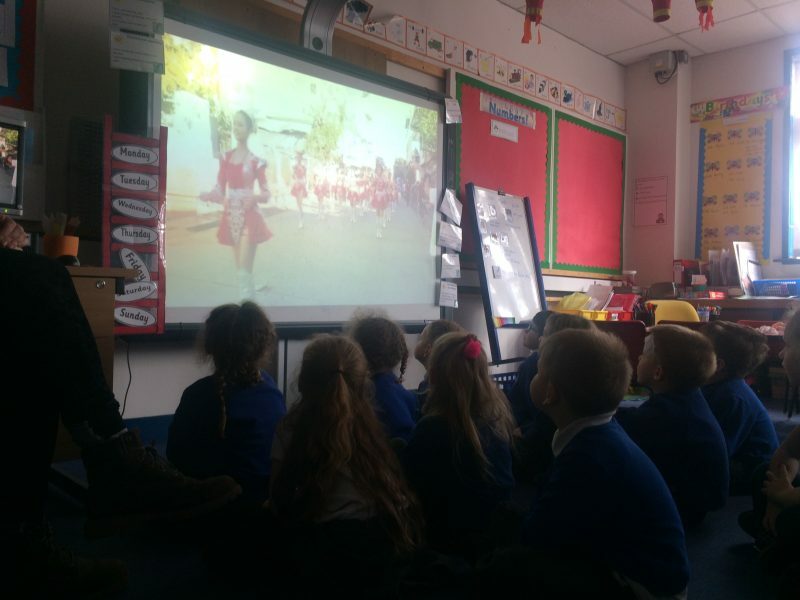 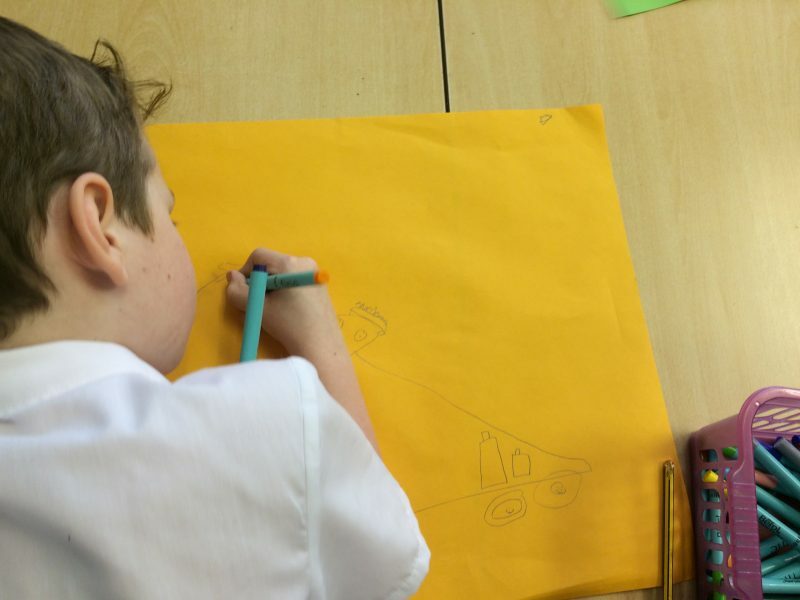 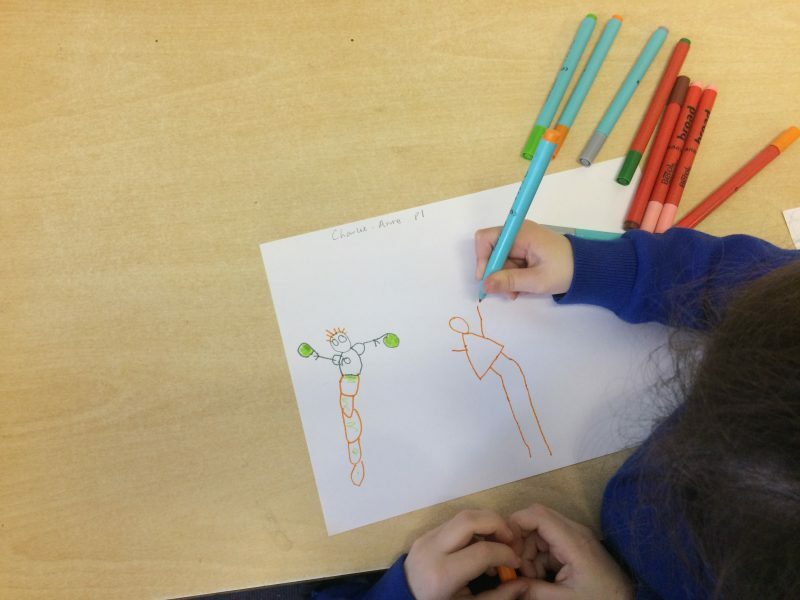 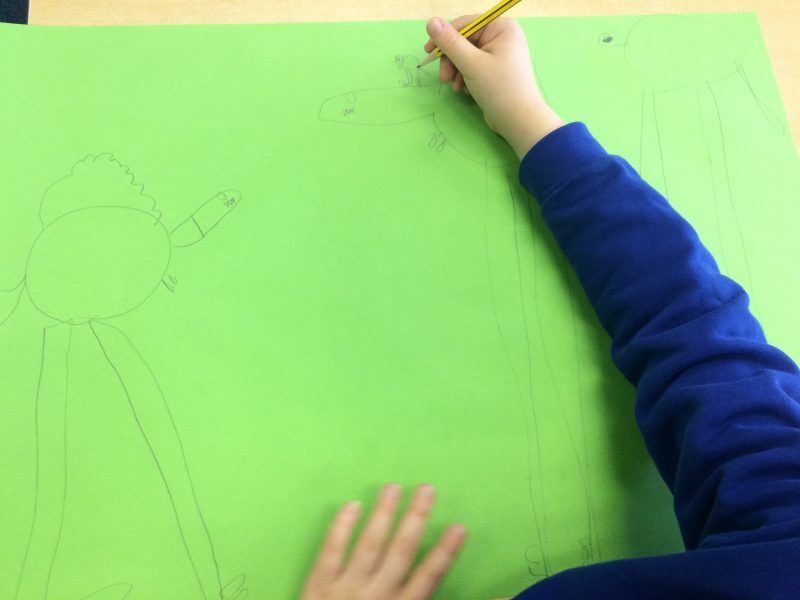 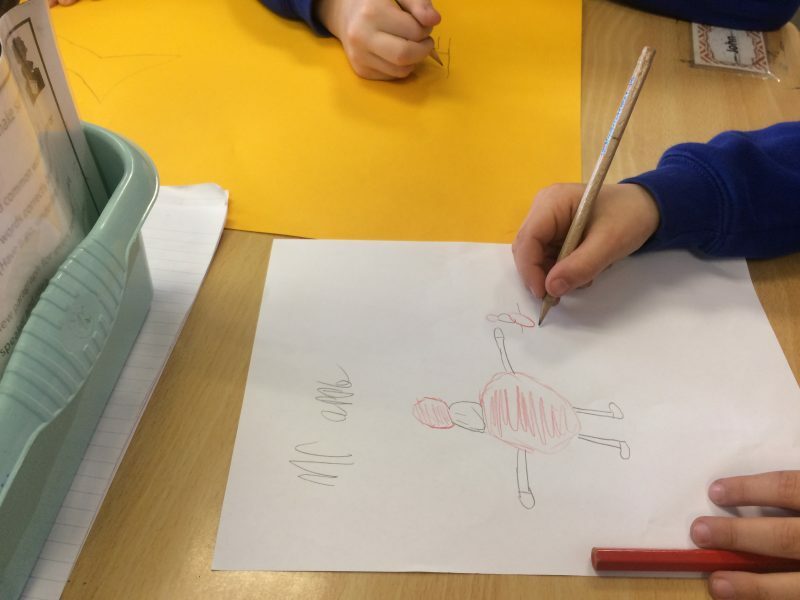 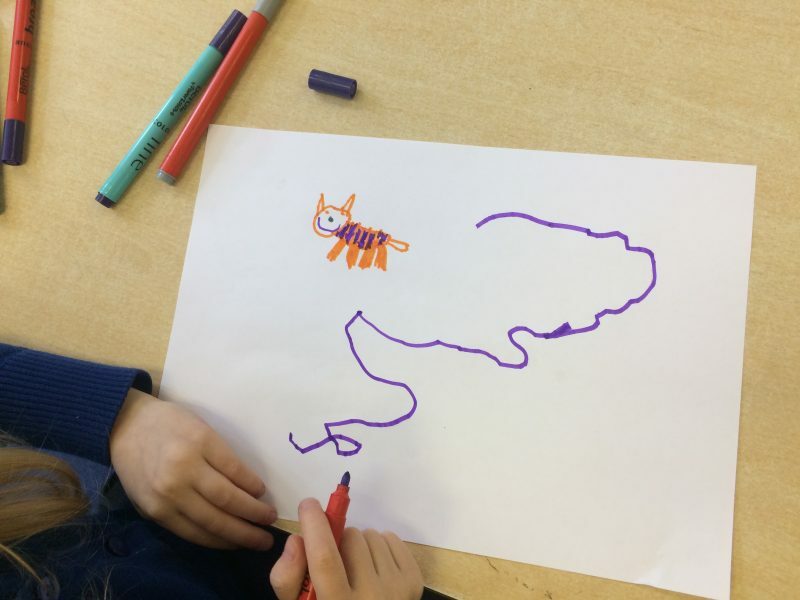 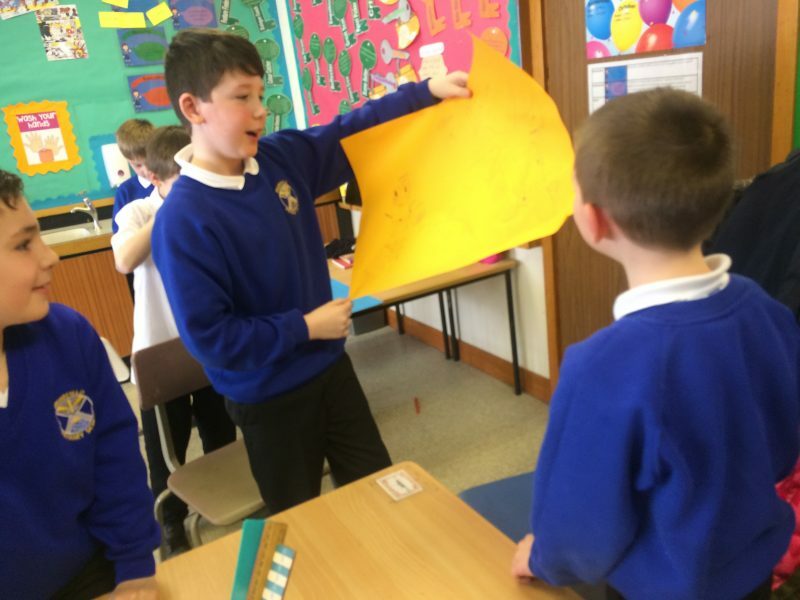 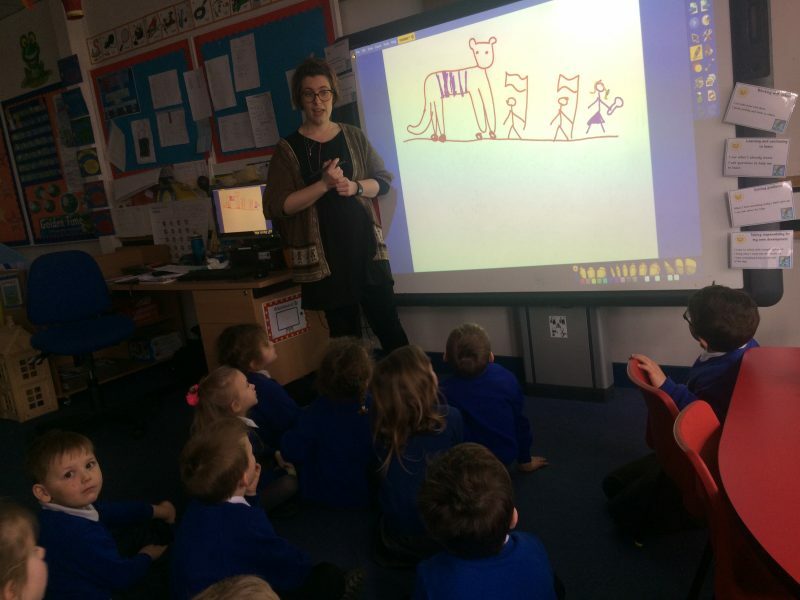 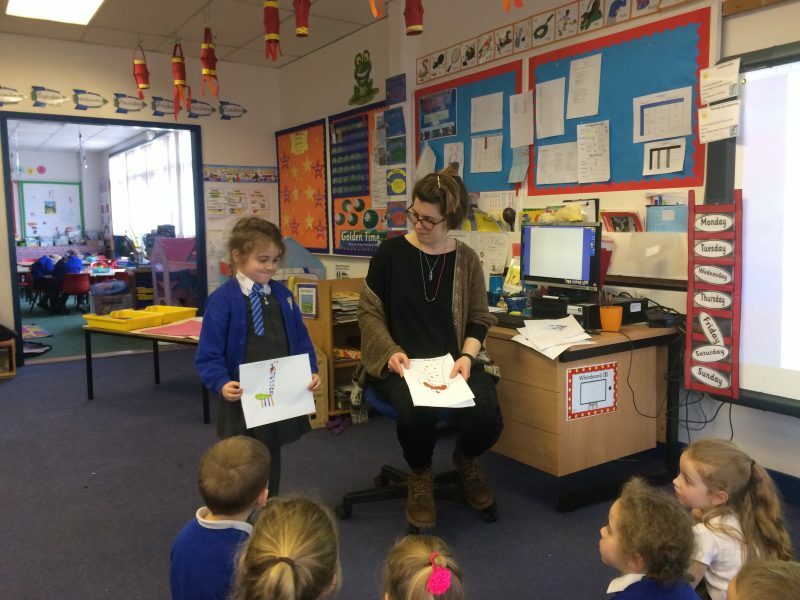 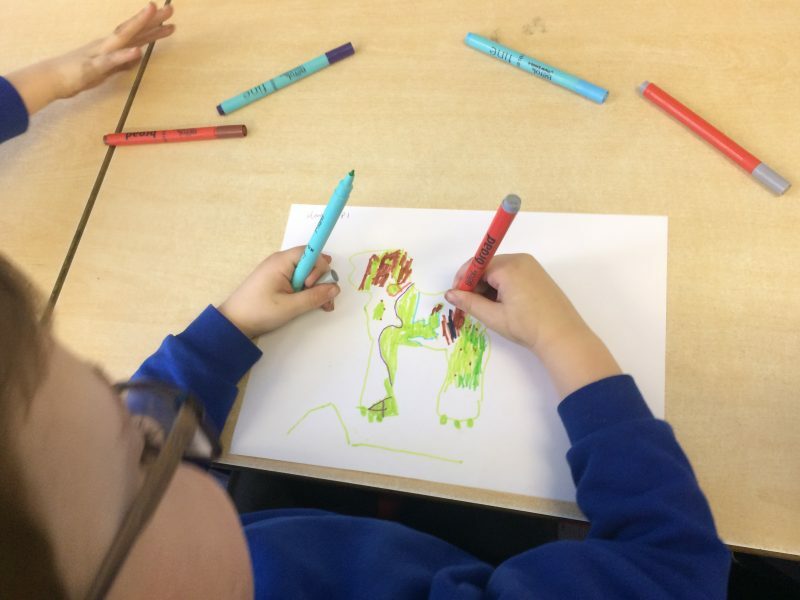 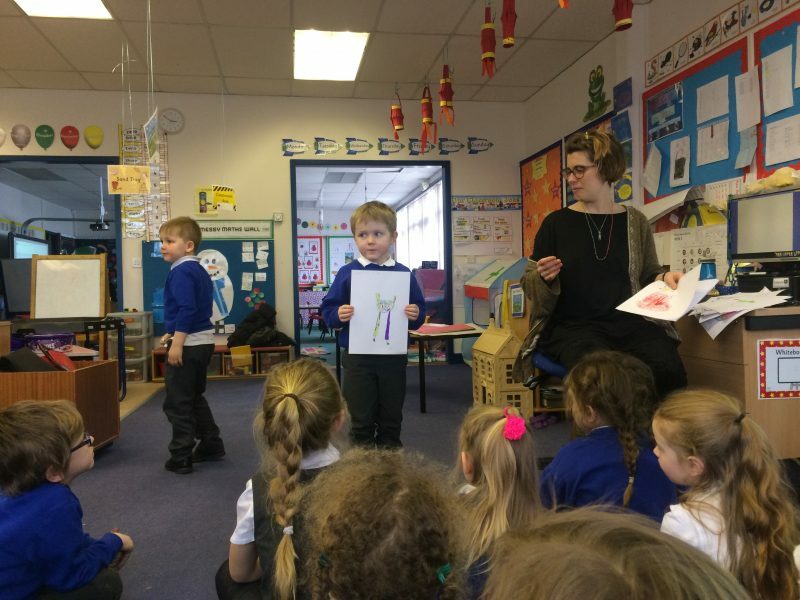 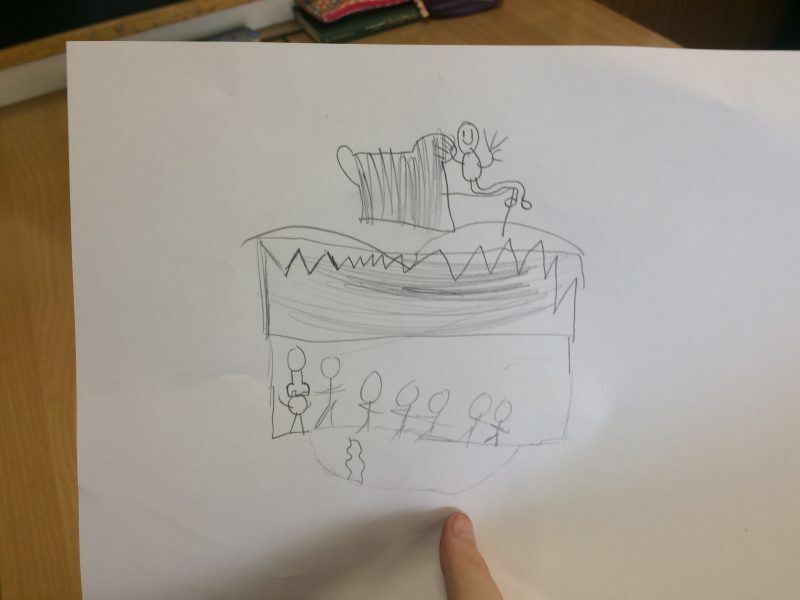 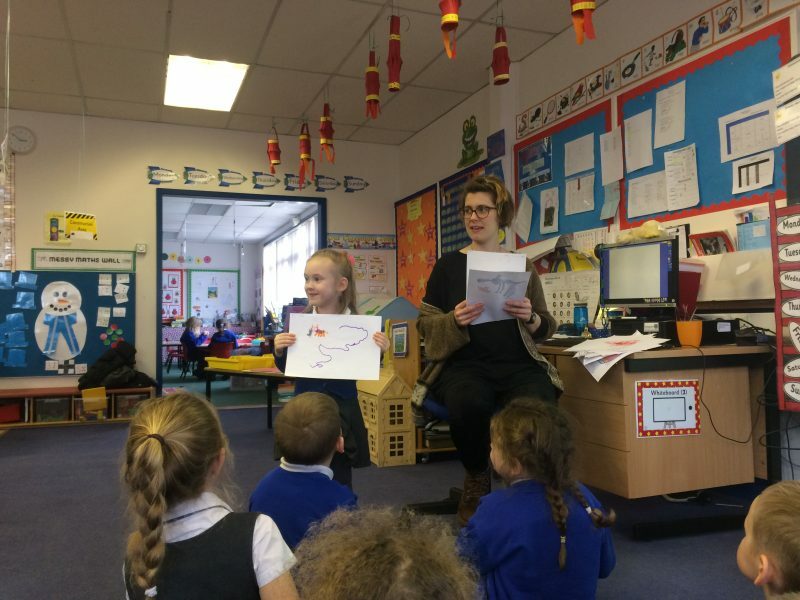 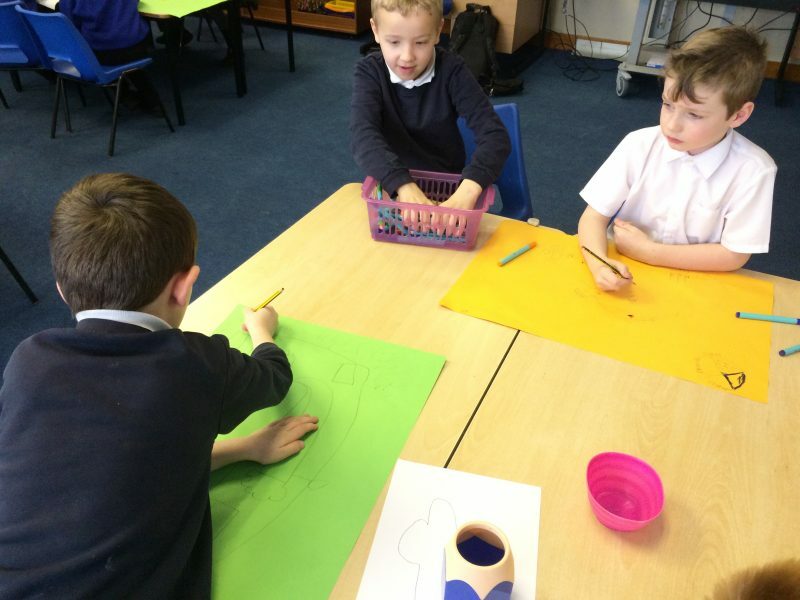 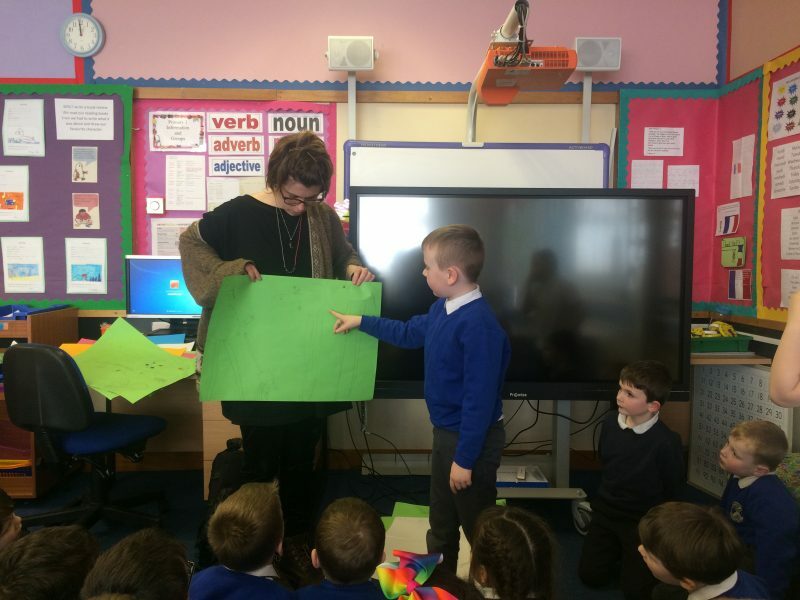 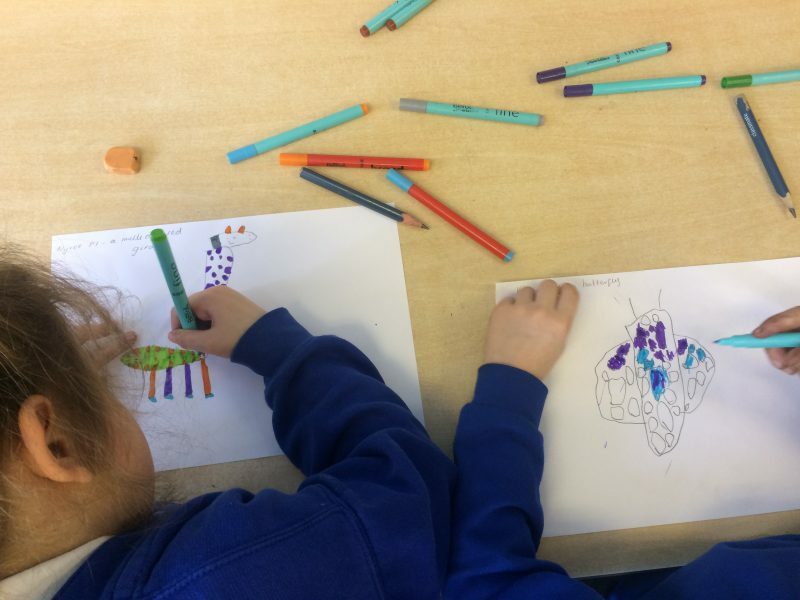 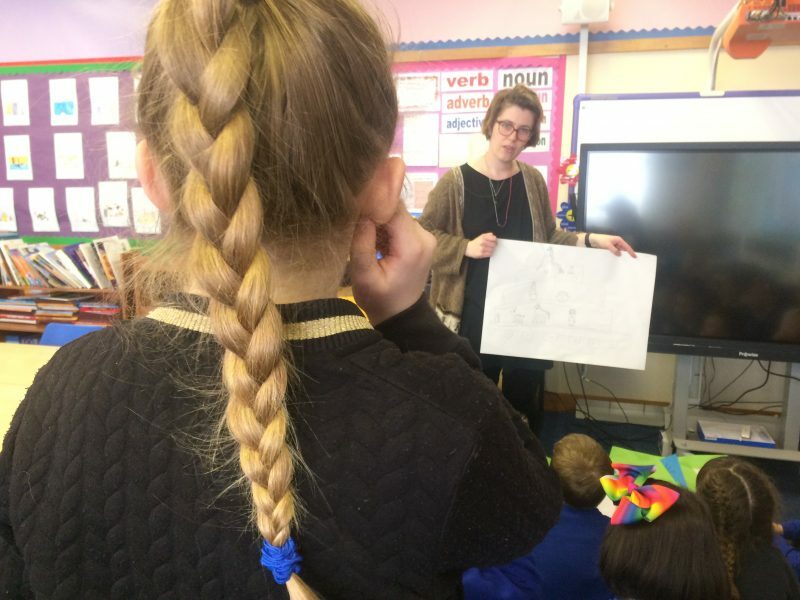 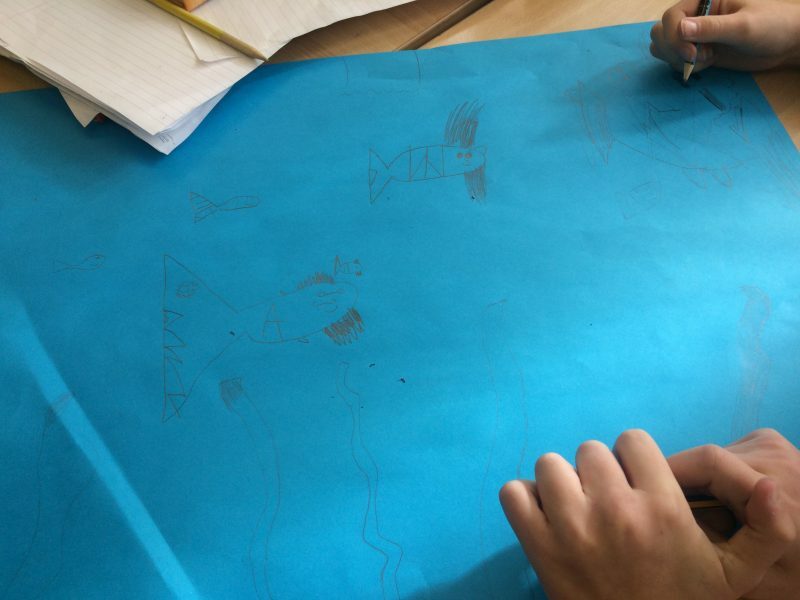 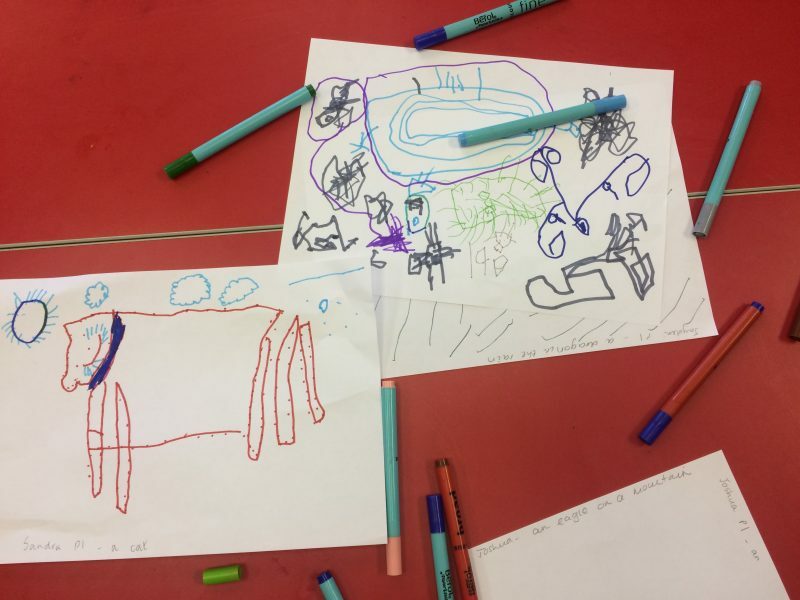 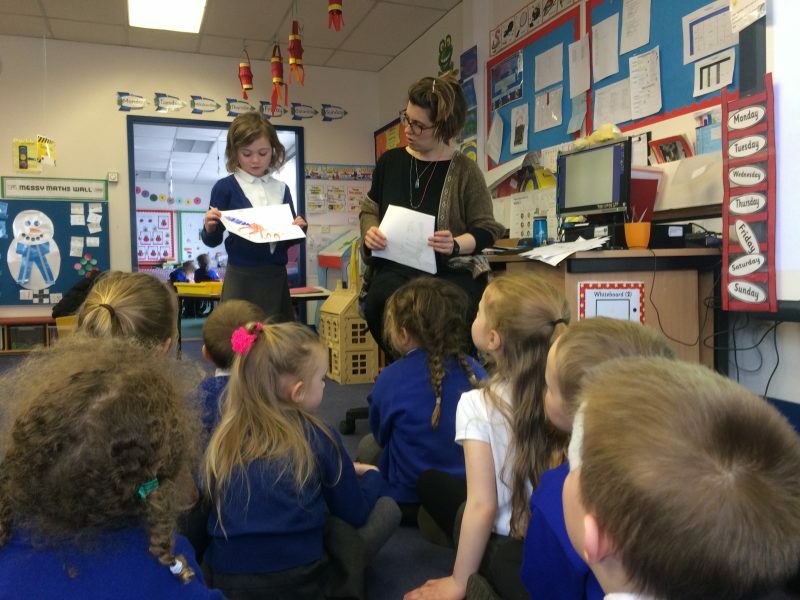 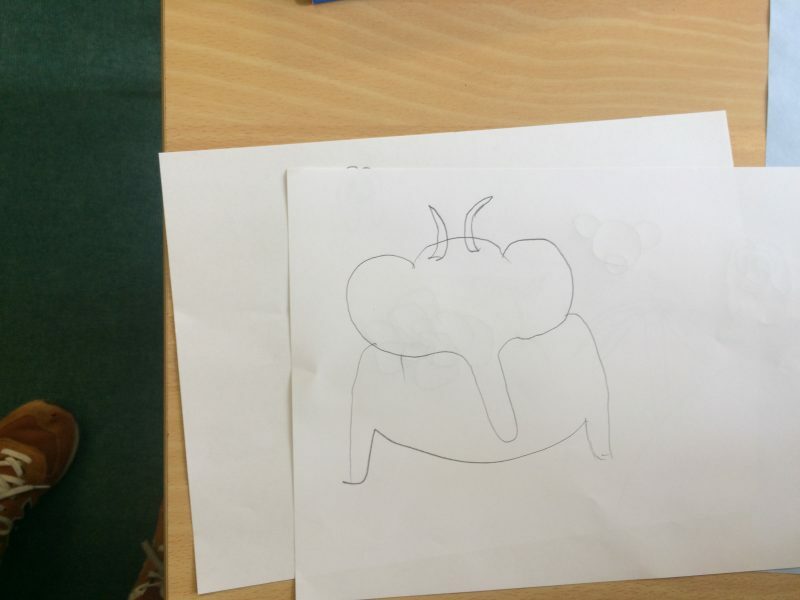 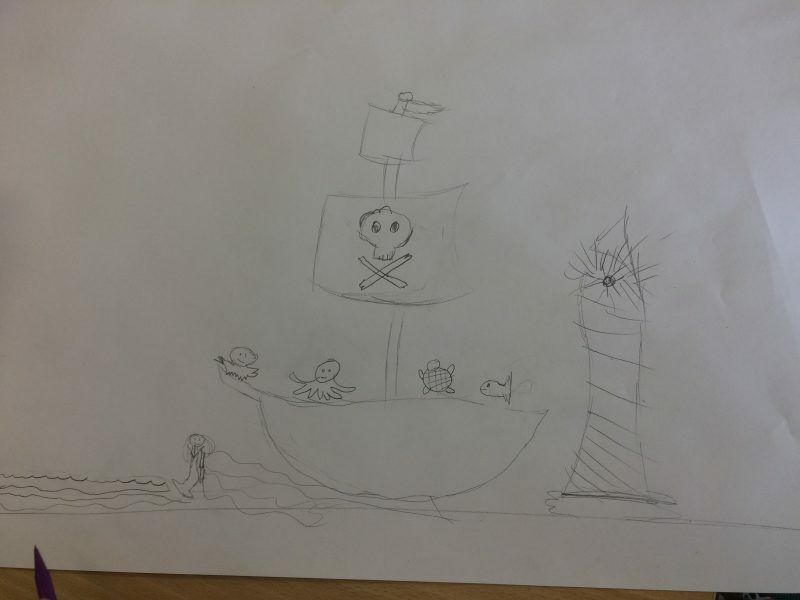 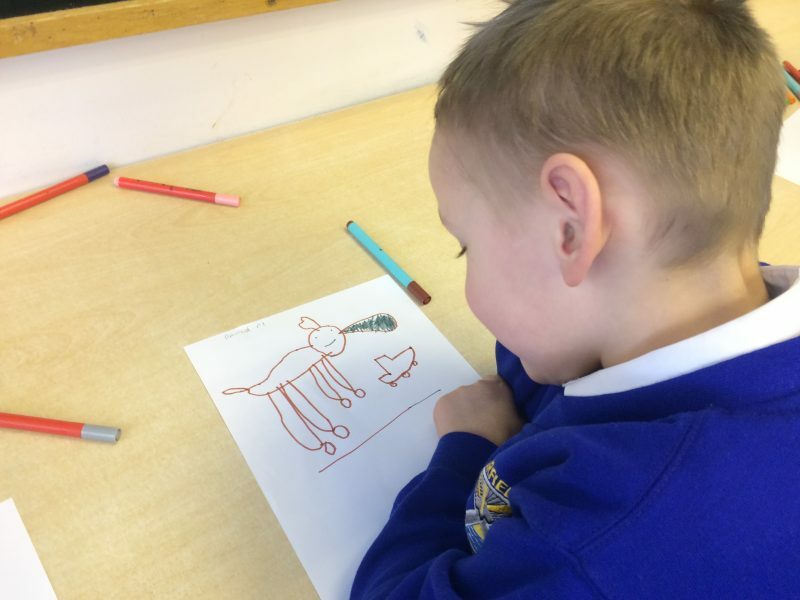 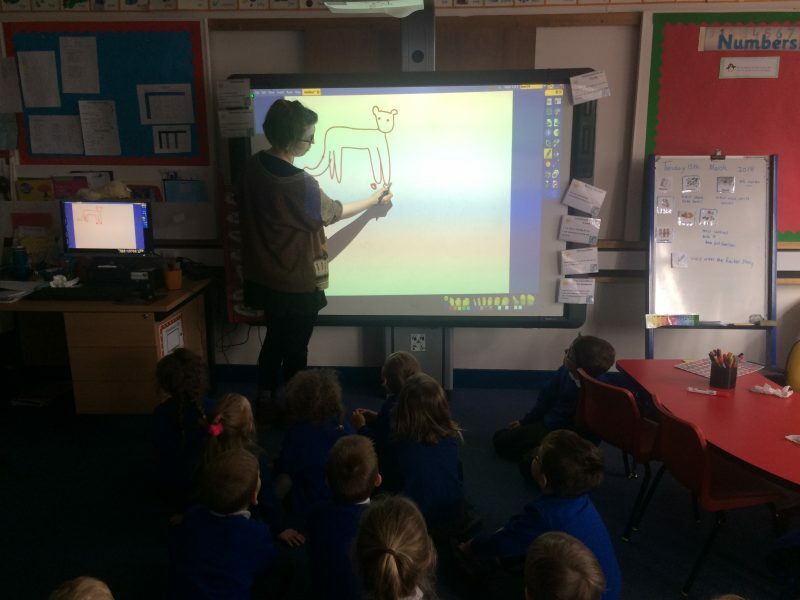 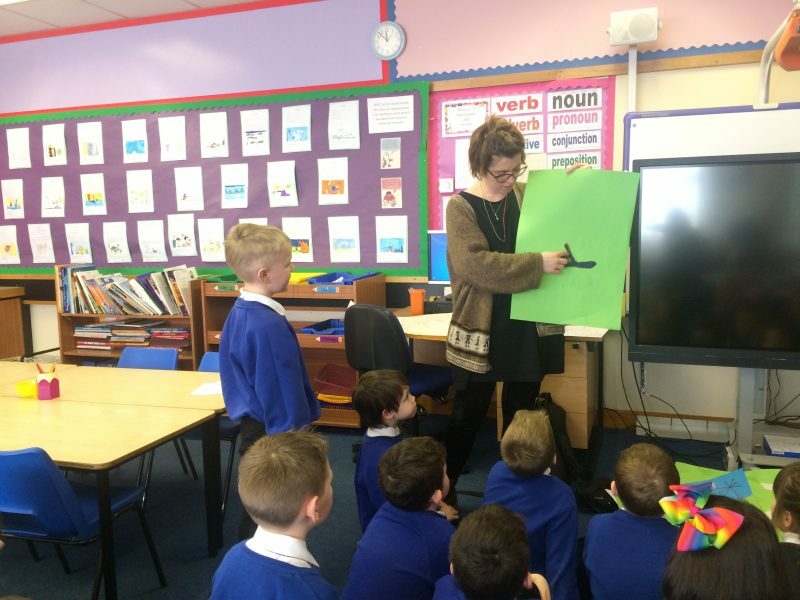 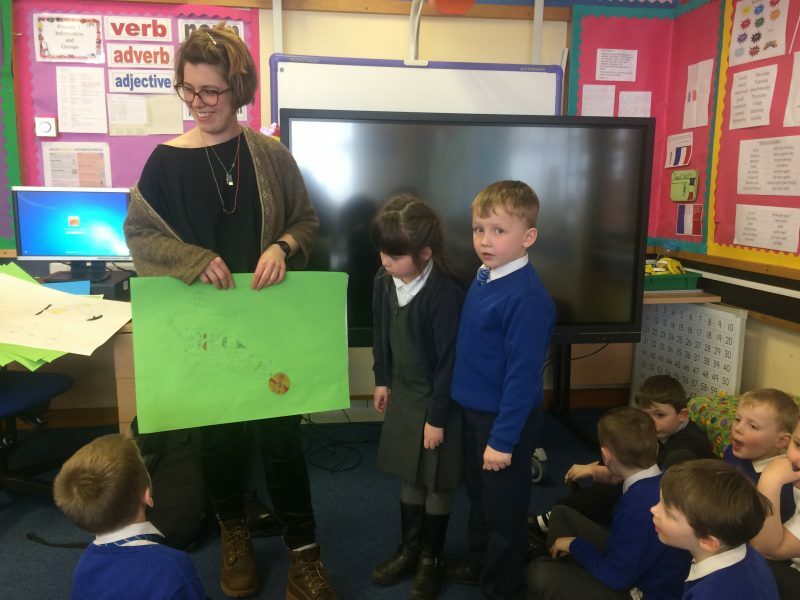 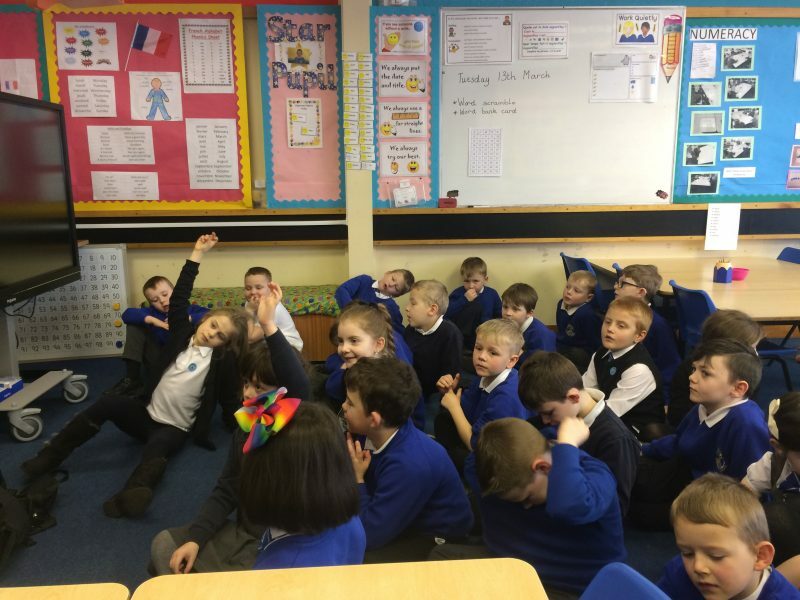 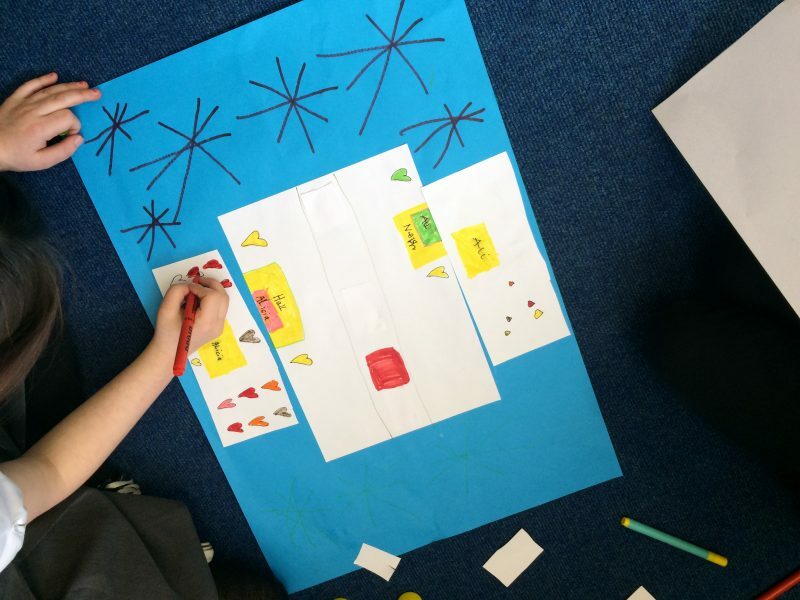 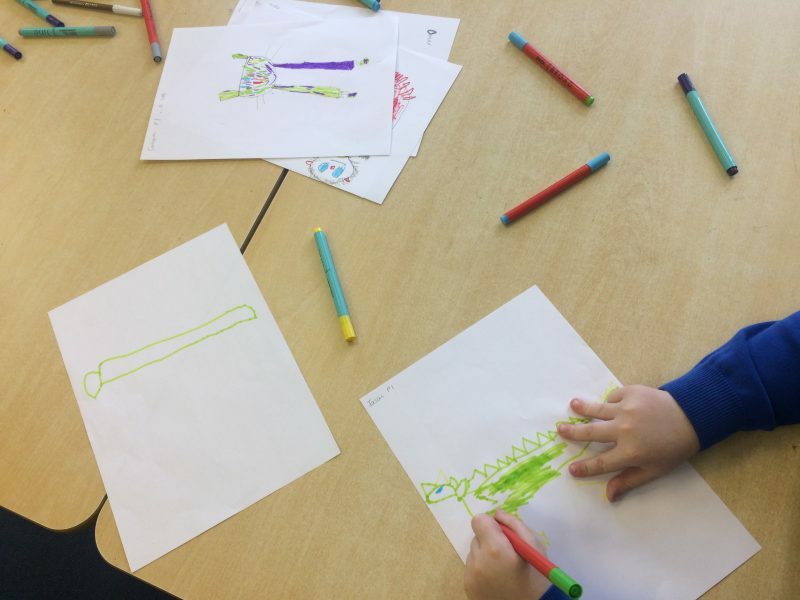 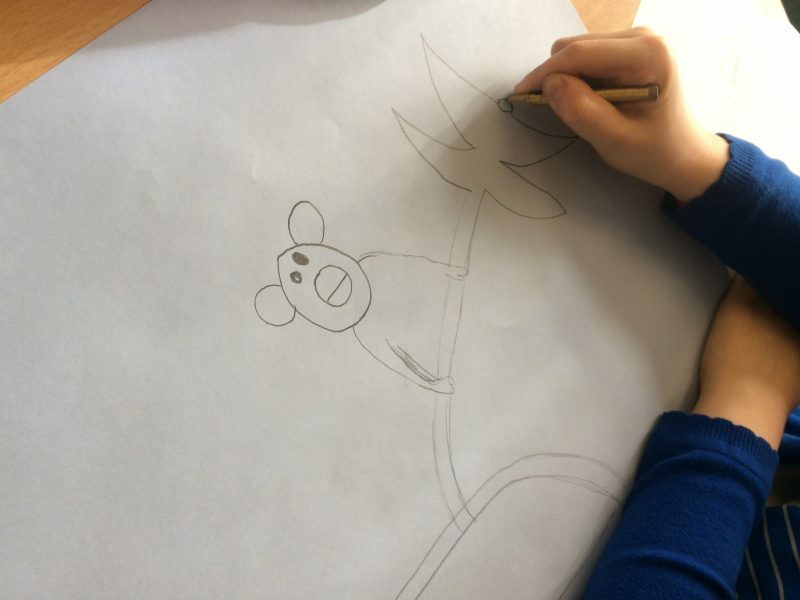 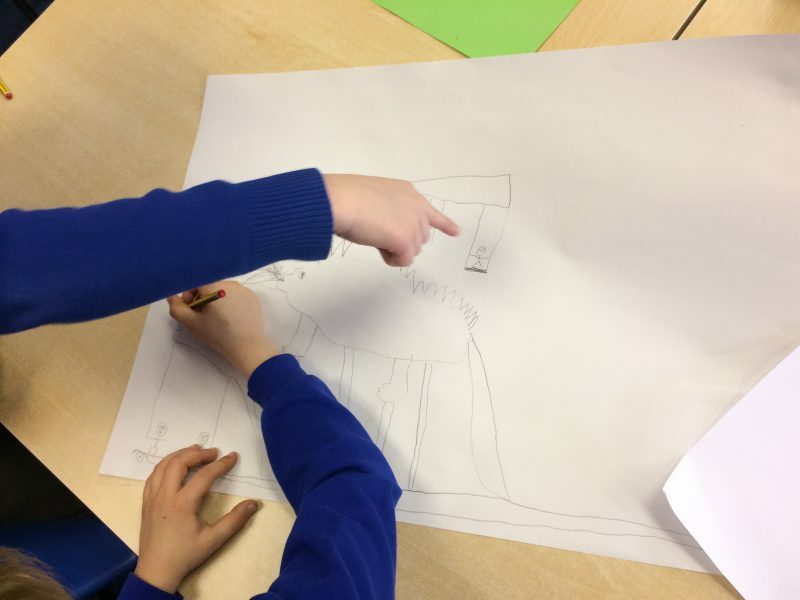 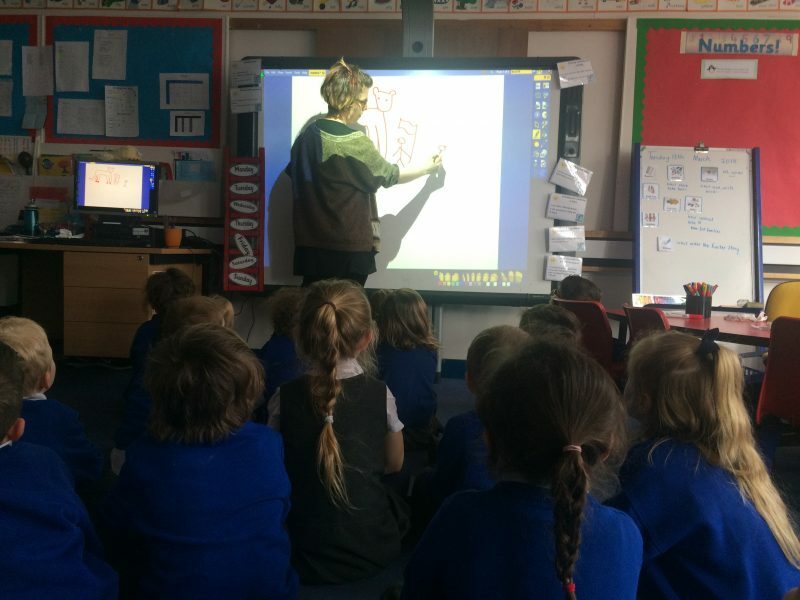 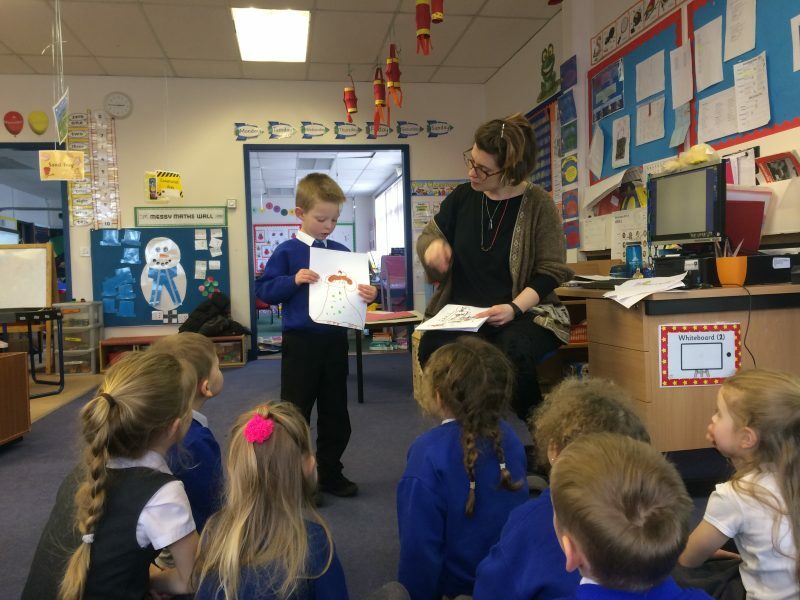 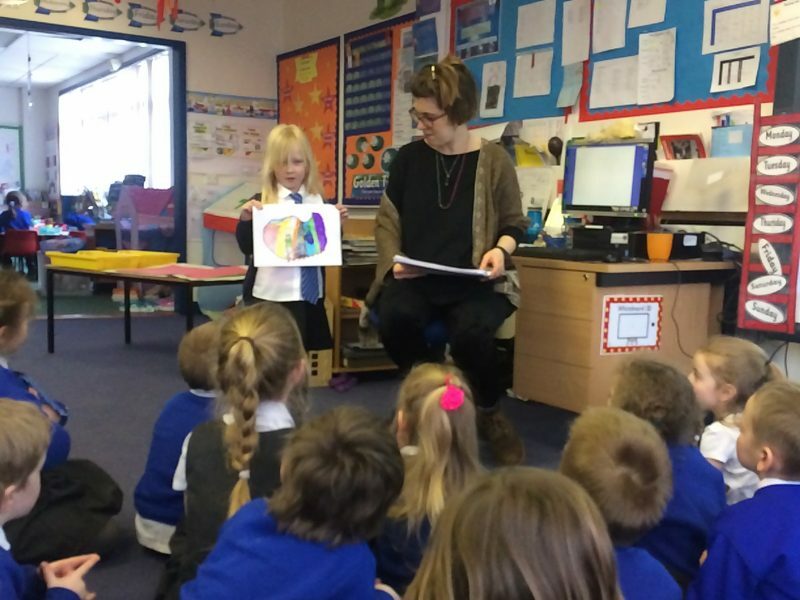 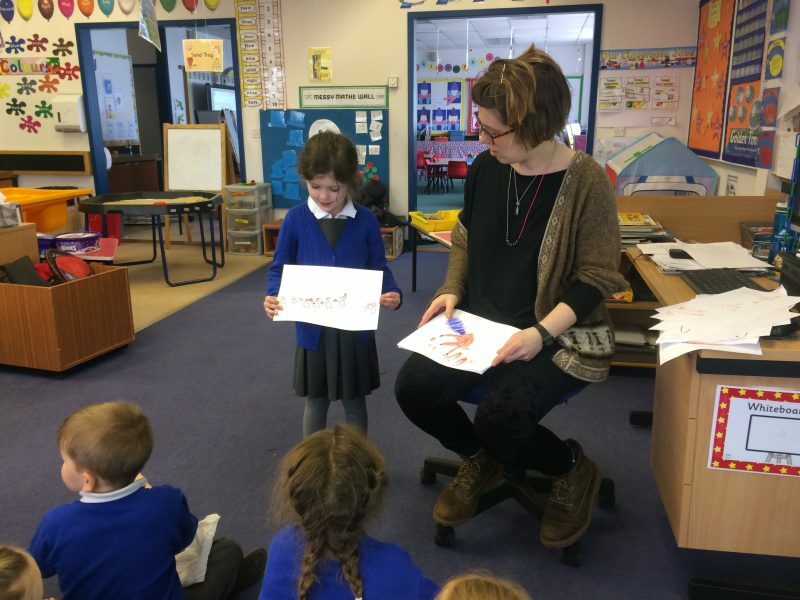 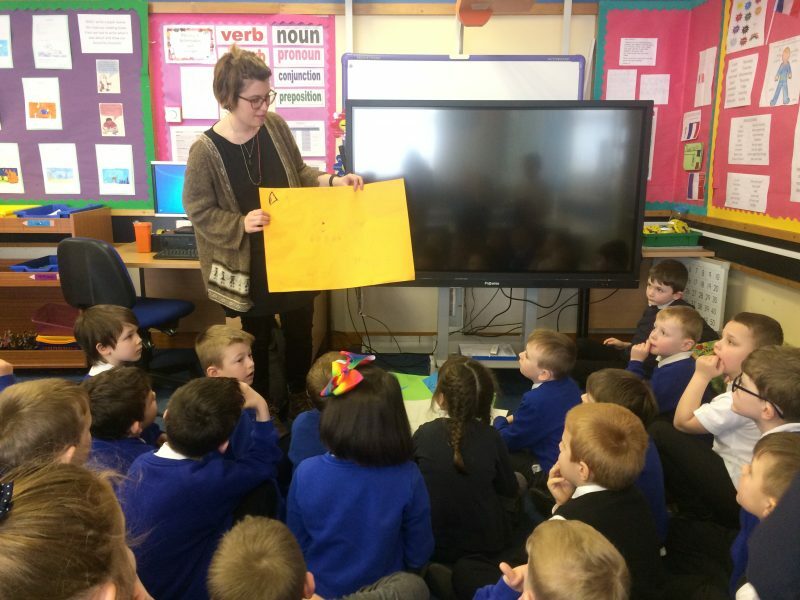 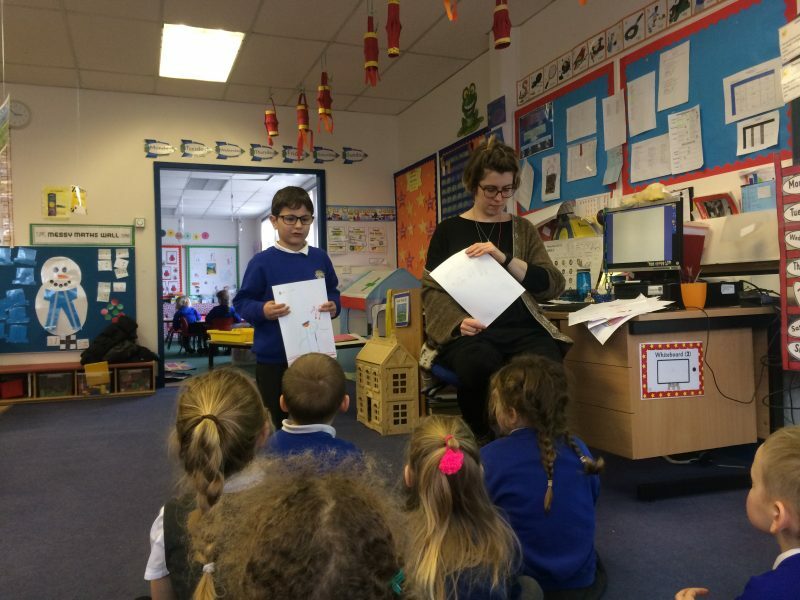 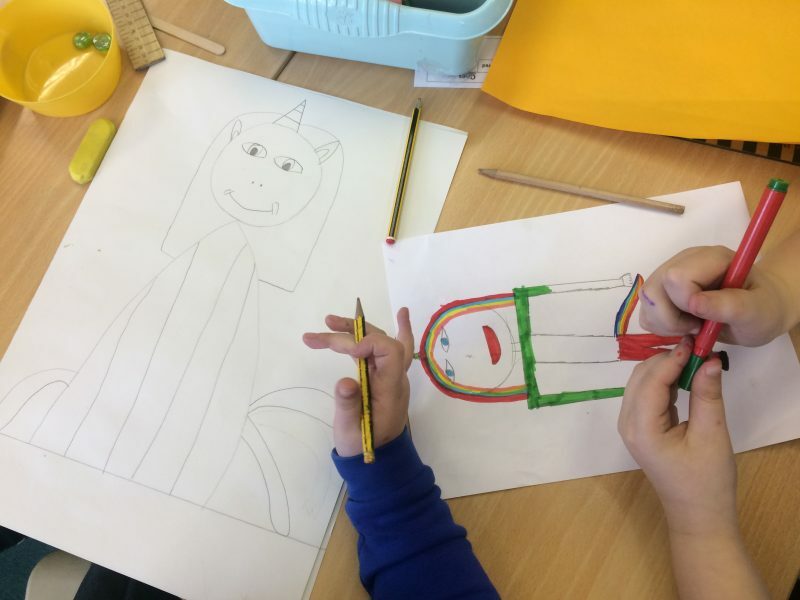 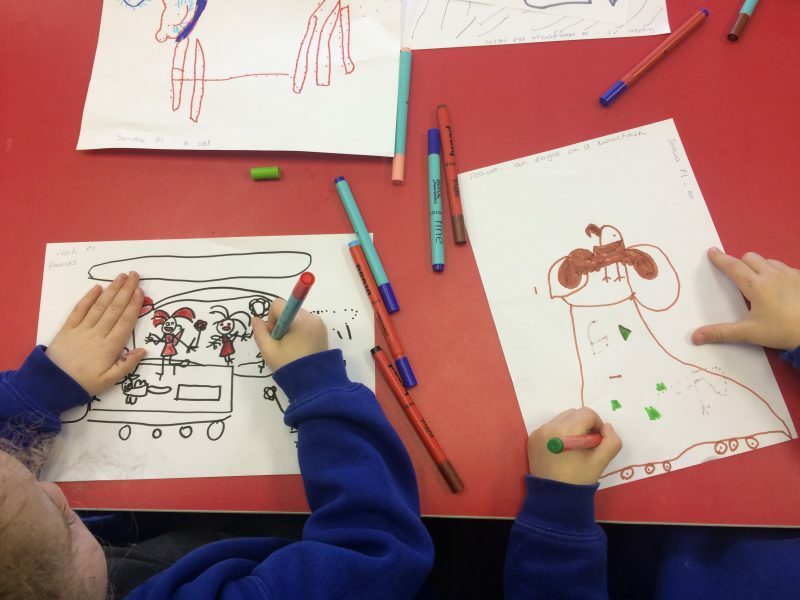 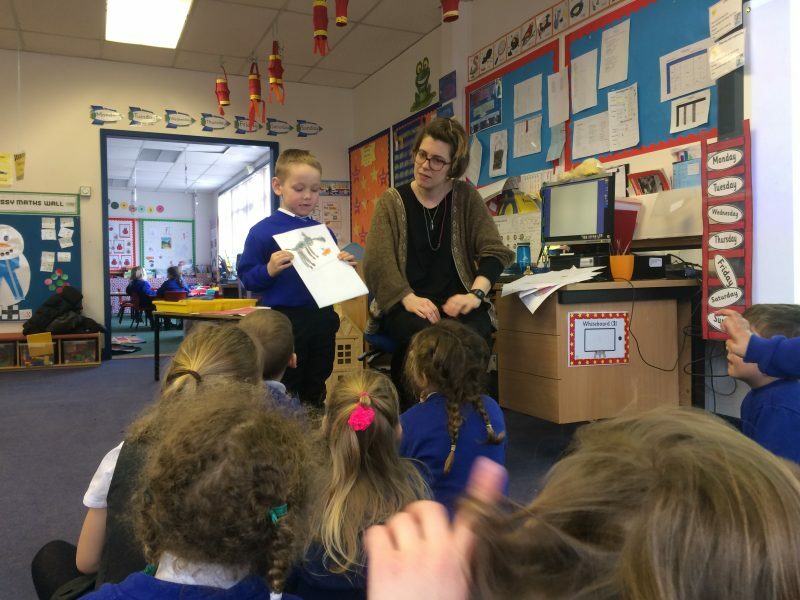 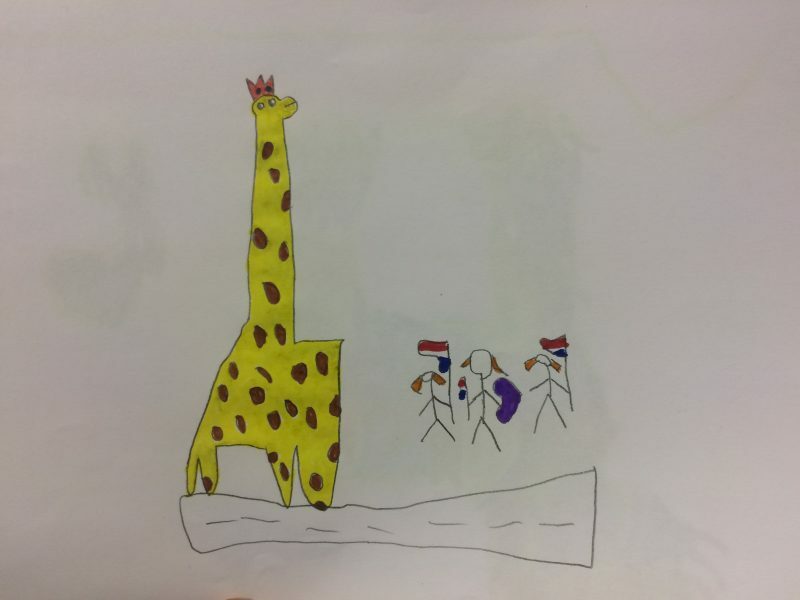 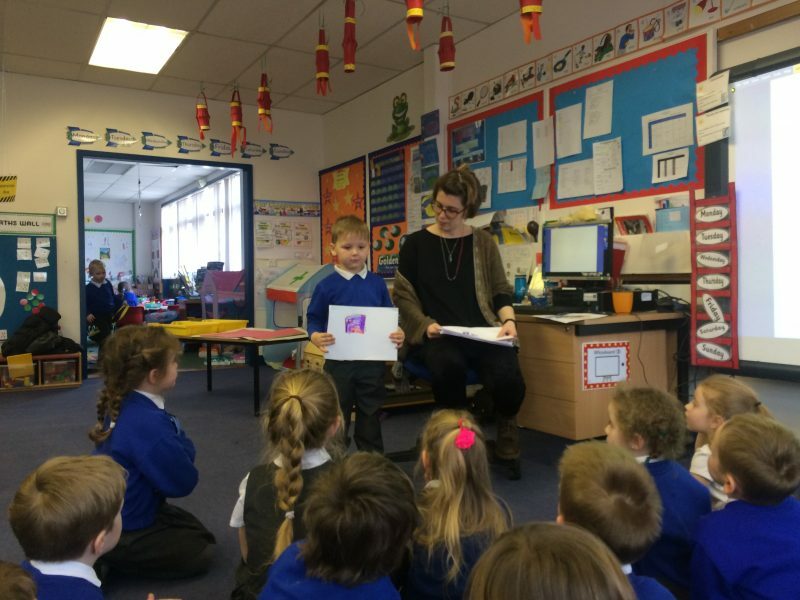 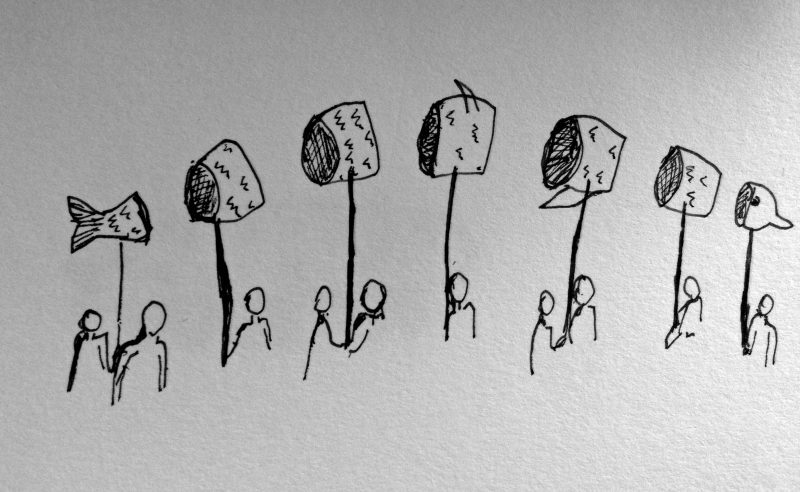 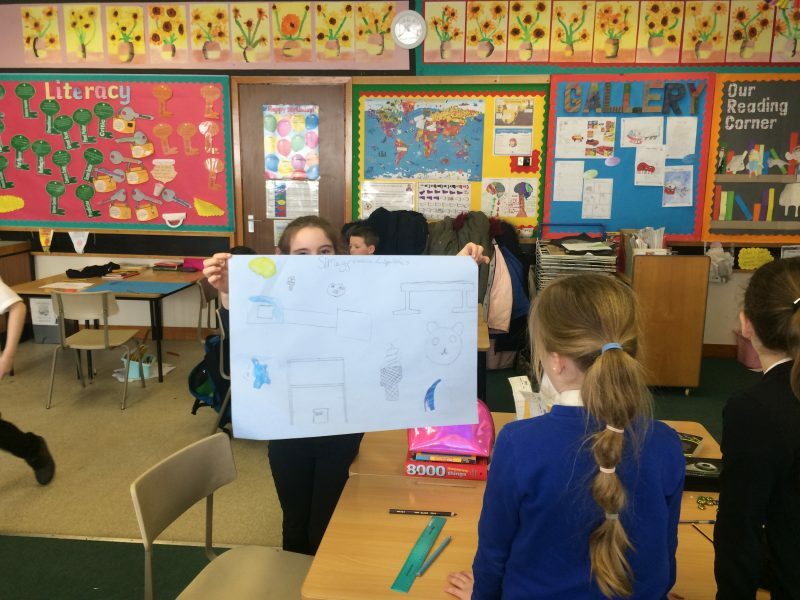 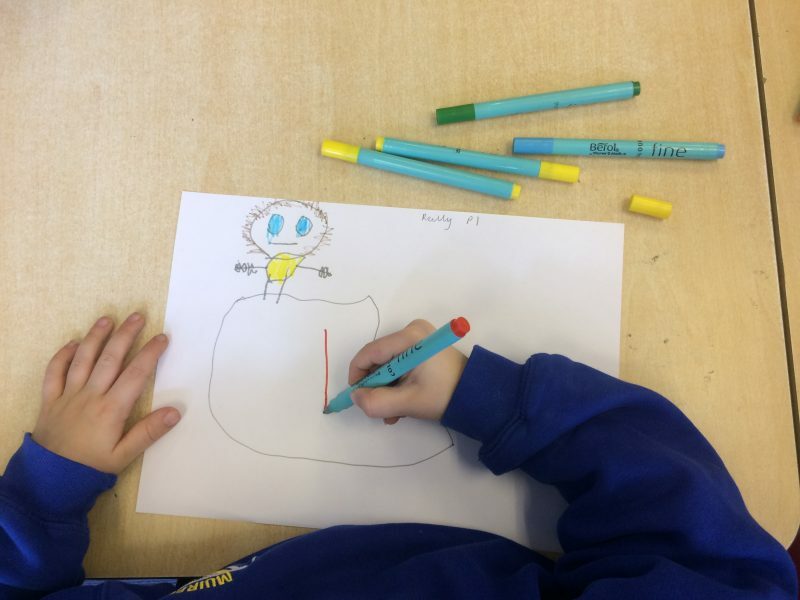 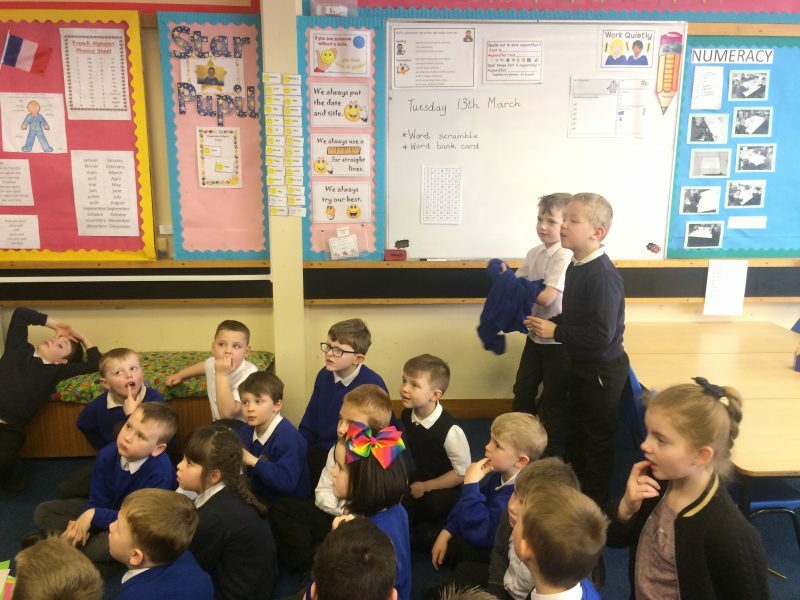 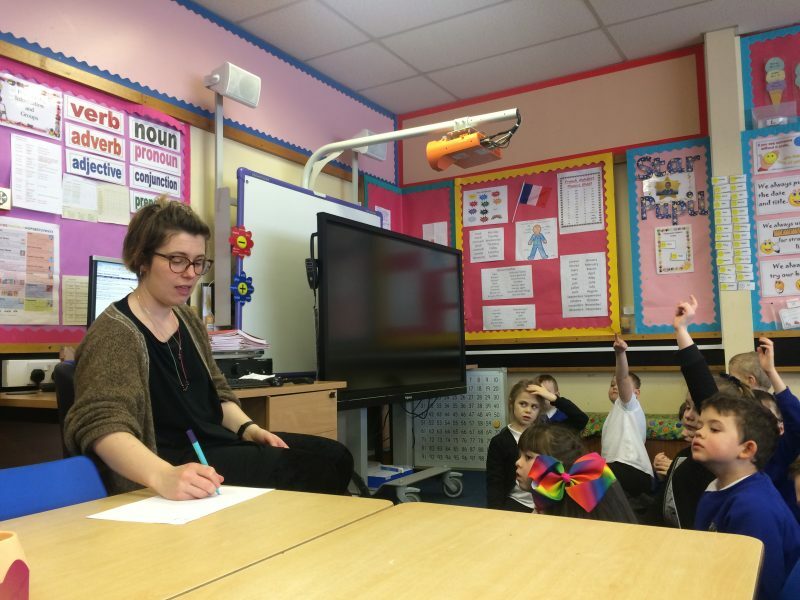 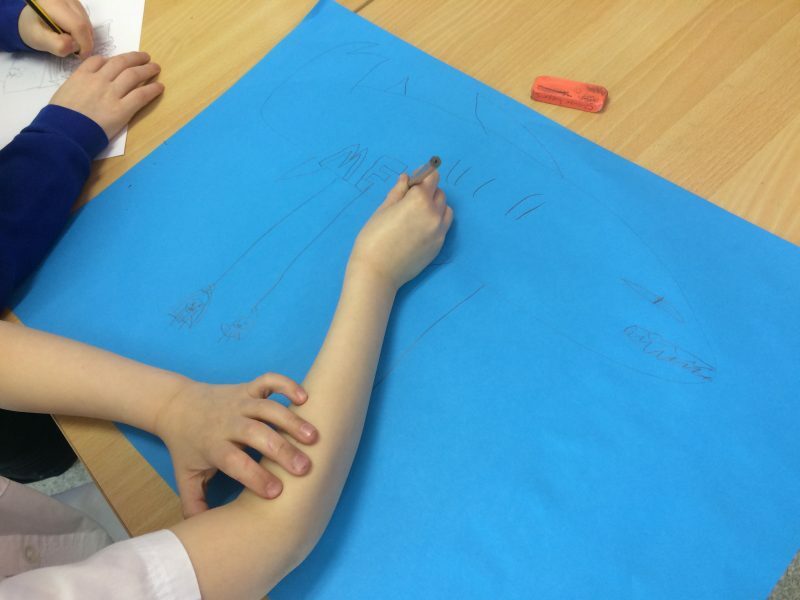 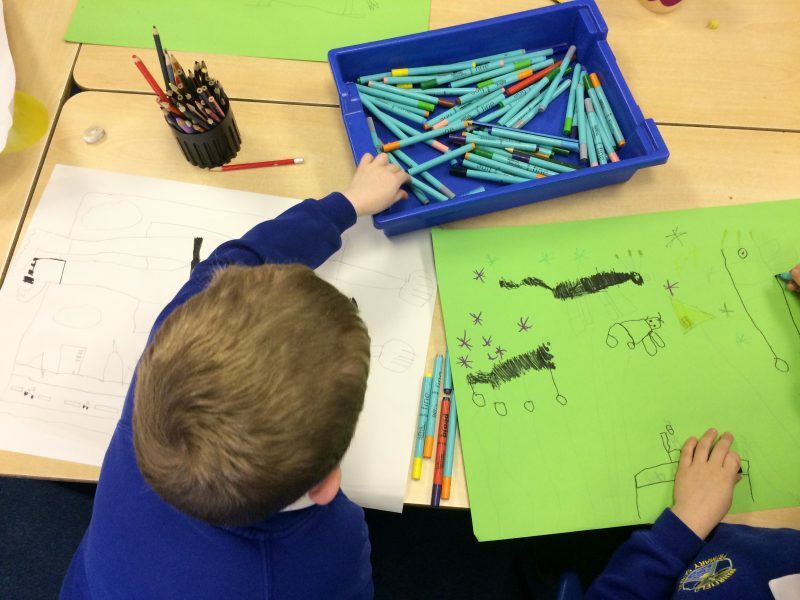 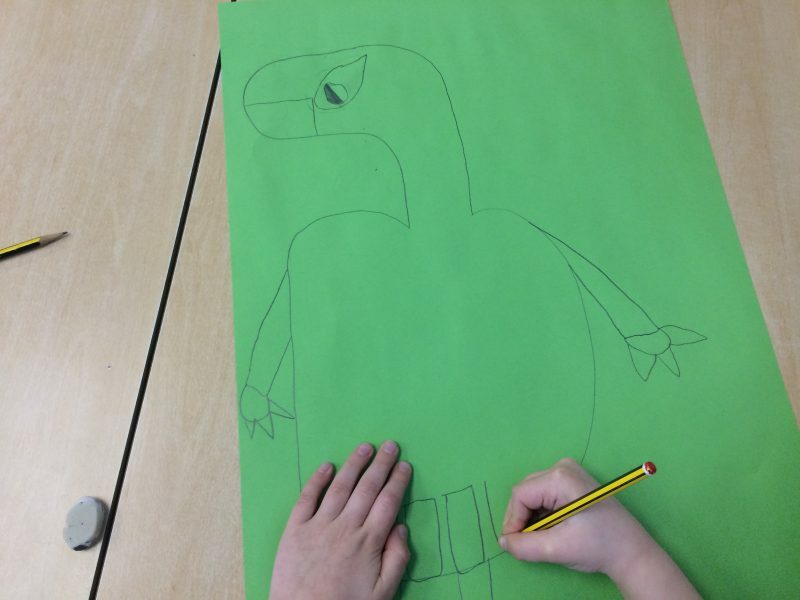 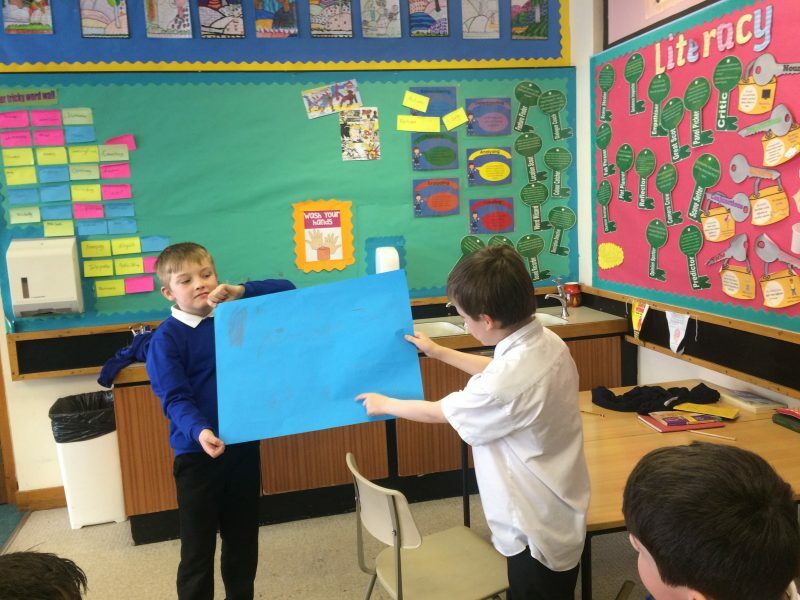 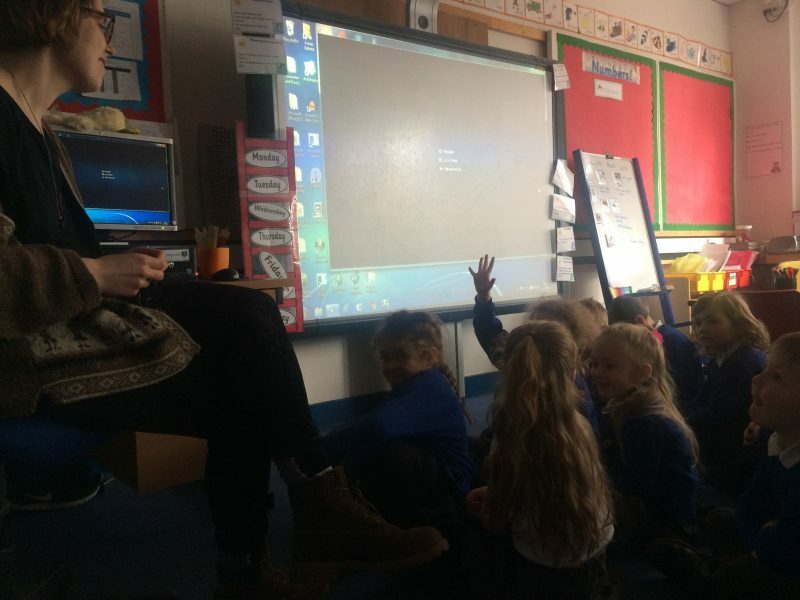 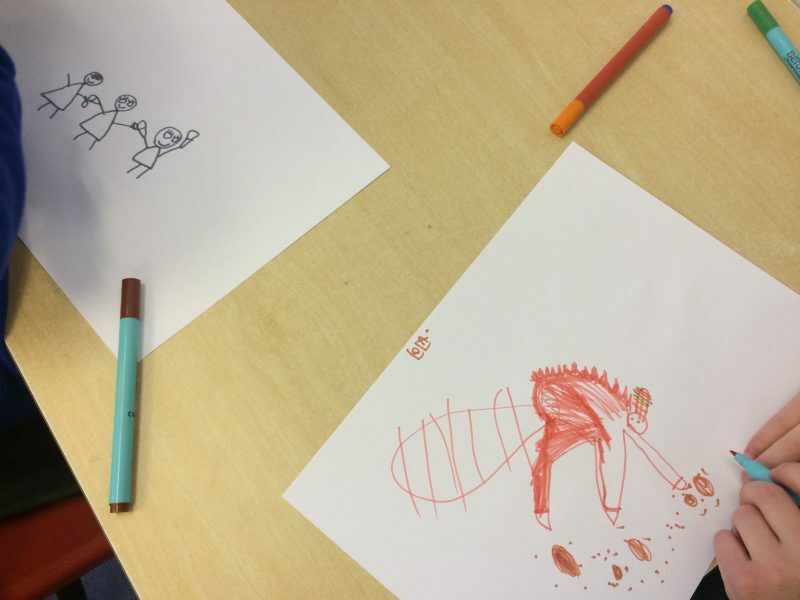 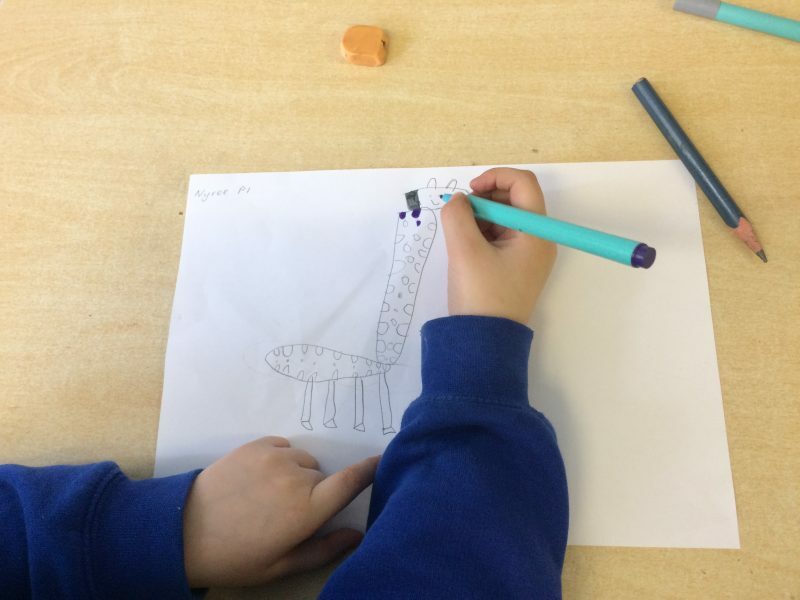 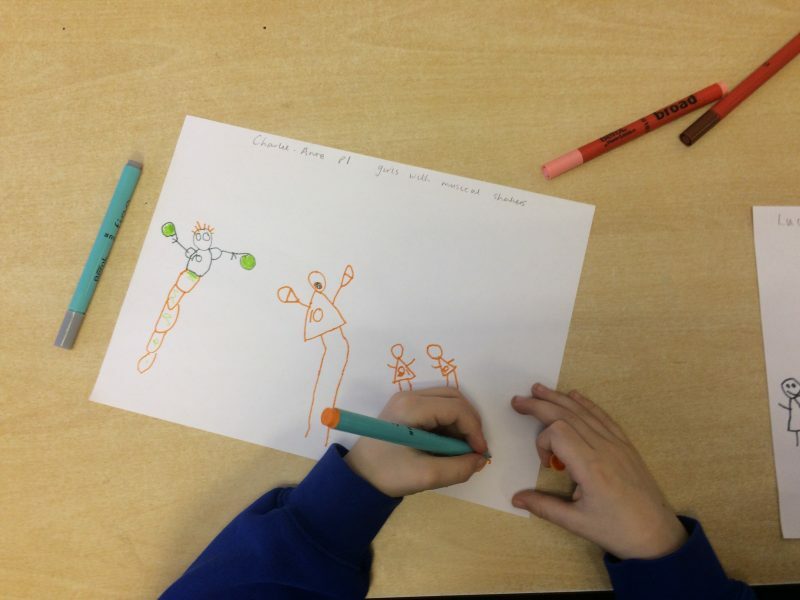 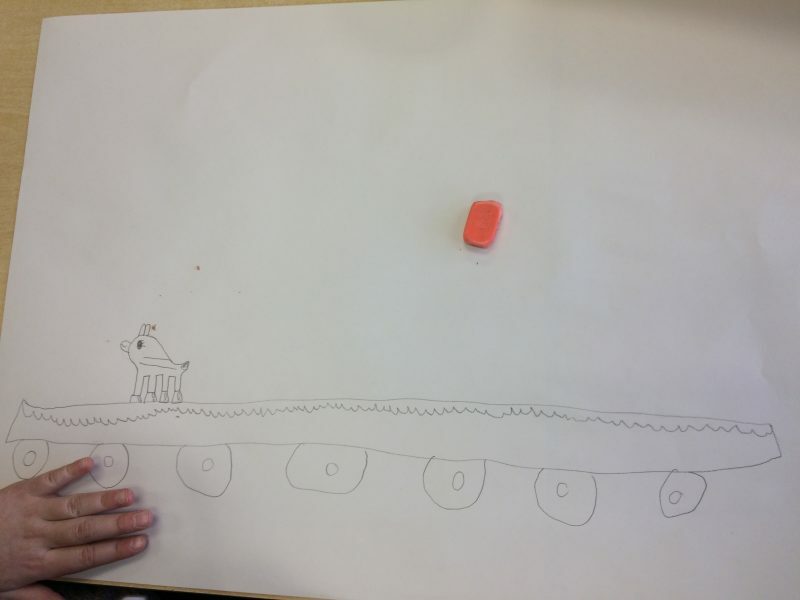 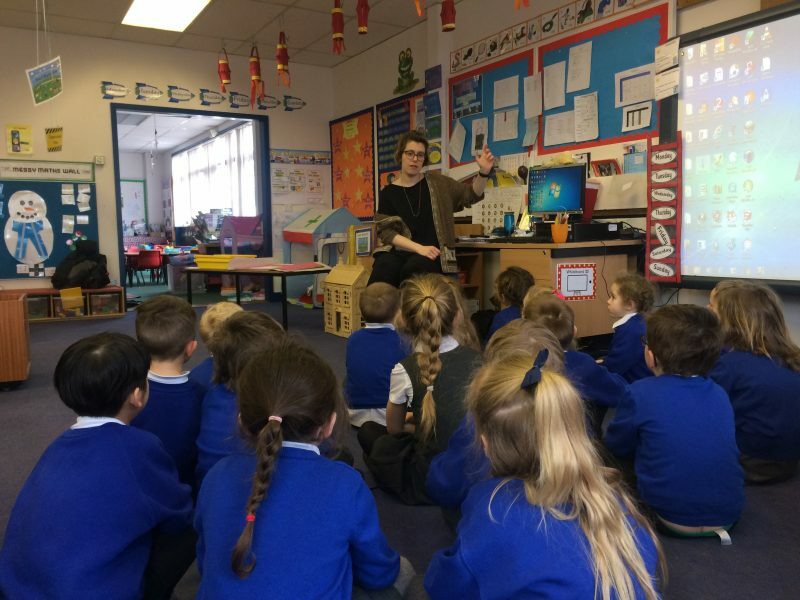 Images: Workshops led by Holly White in Timmergreens and Muirfield Primary Schools, developing ideas for the Children’s Procession. 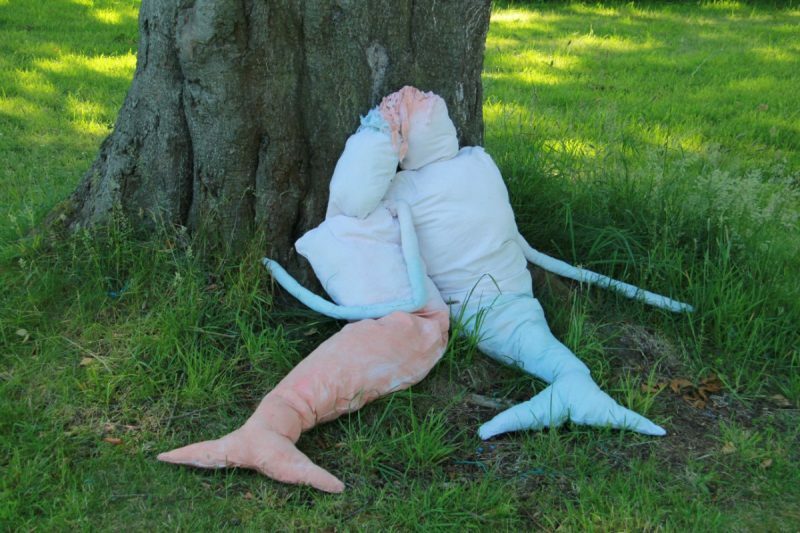 Holly White was born in London and lives and works in Glasgow. 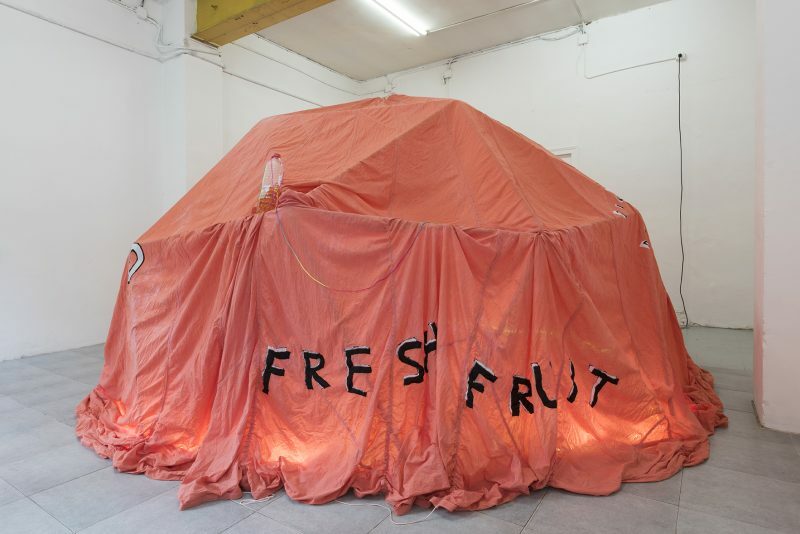 Her work involves digital media, sculpture, text, performance and video. 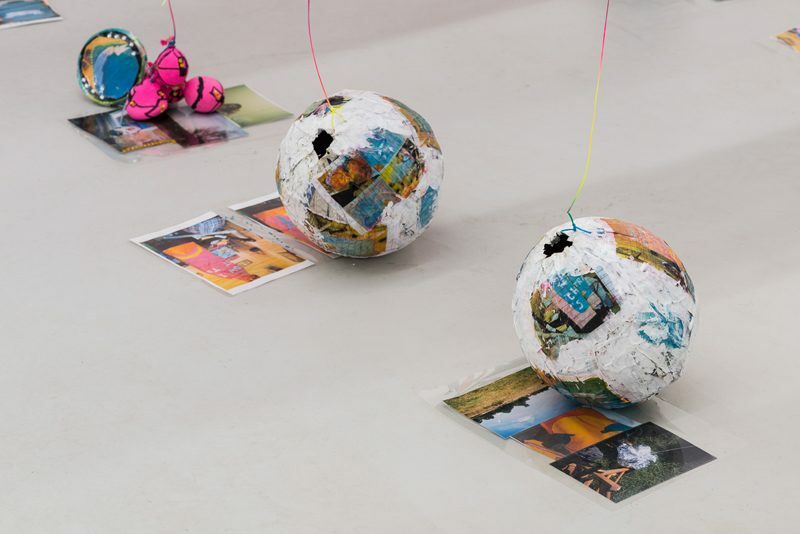 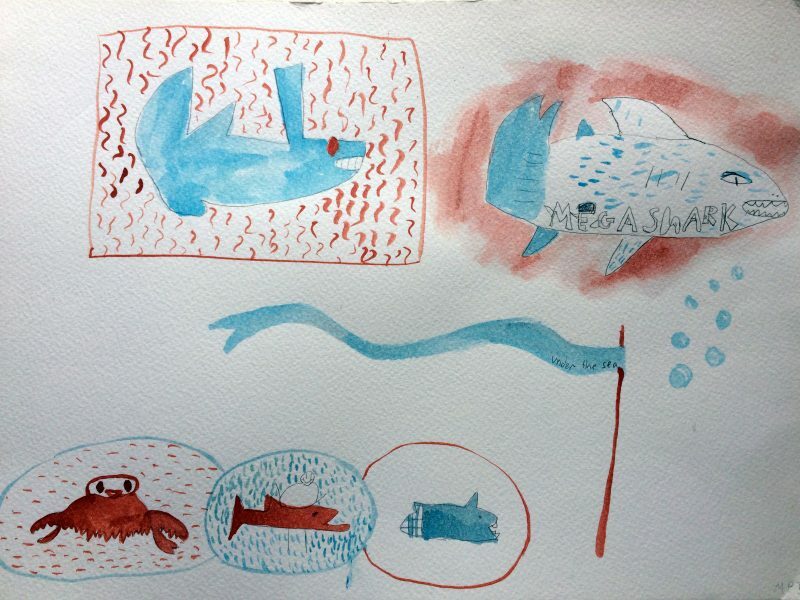 Recent solo exhibitions include: Orange World, Cordova Gallery, Barcelona, 2017; I Need Your Love is This True, Jupiter Woods, London, 2016; I’m always lazy when I miss you, AND/OR Gallery, 2015; No One Is Going To Go There Anymore, Evelyn Yard, London, 2014. 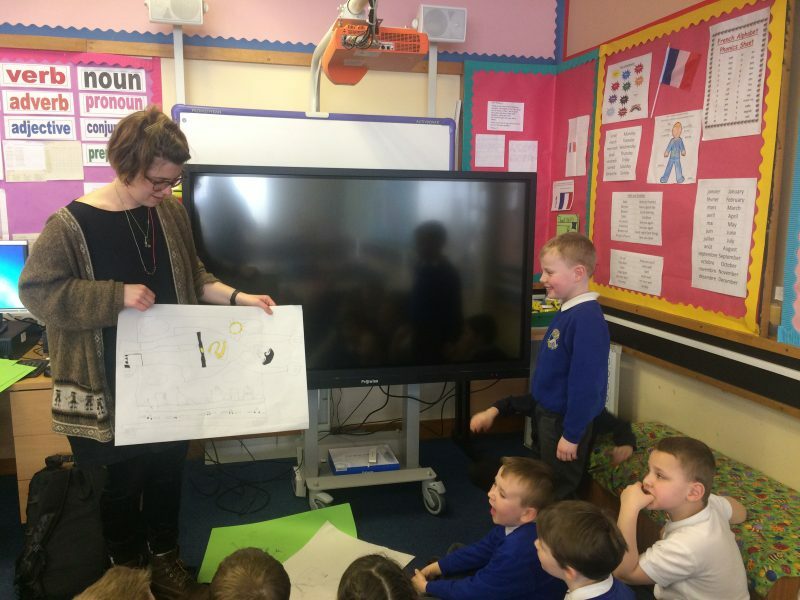 We are grateful for the help with Angus Cycle Hub have given us in supplying parts and advice. 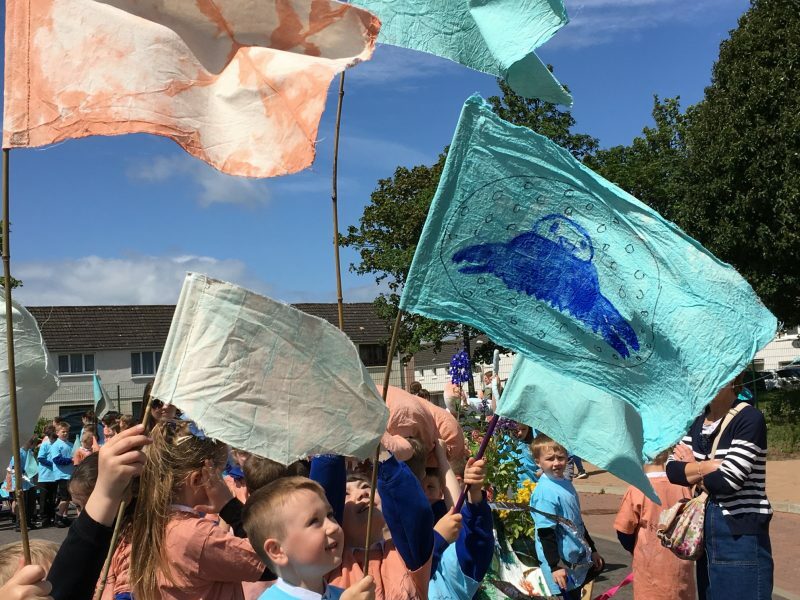 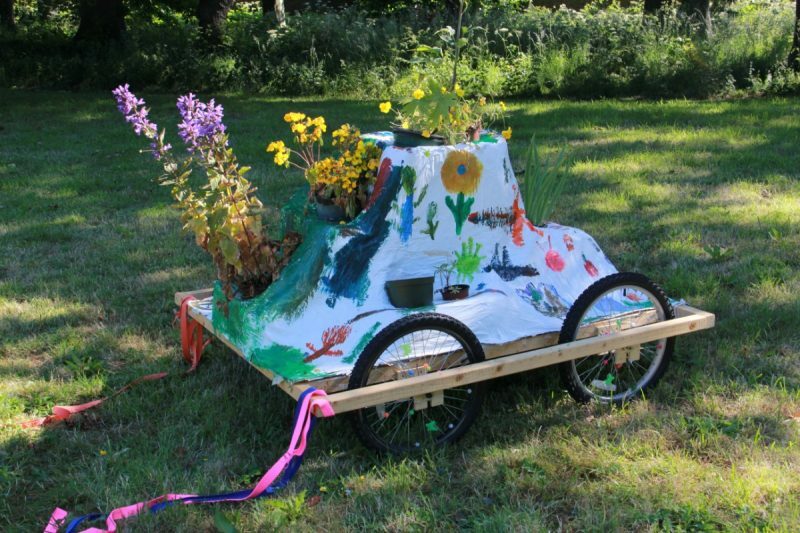 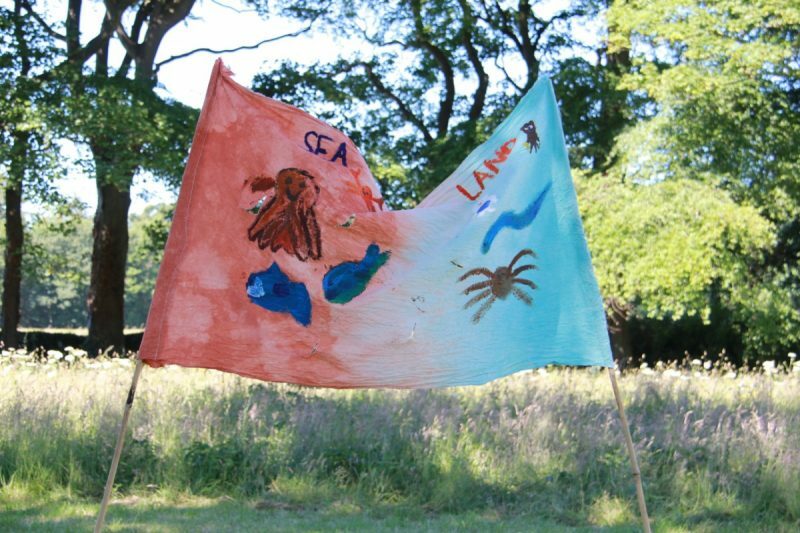 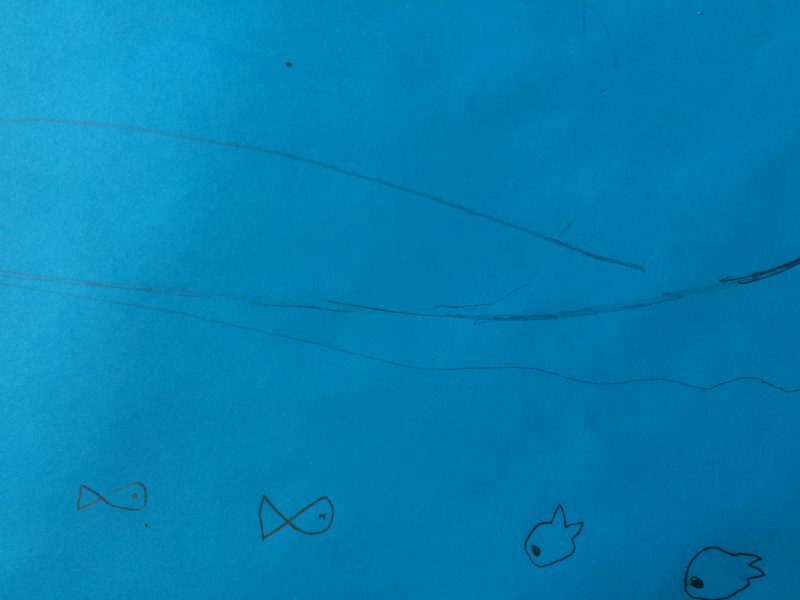 Our projects for the Summer Festival have also received support from Cladco, The Robertson Trust, The Northwood Trust, Tay Charitable Trust and Colin John Grant Charitable Trust.